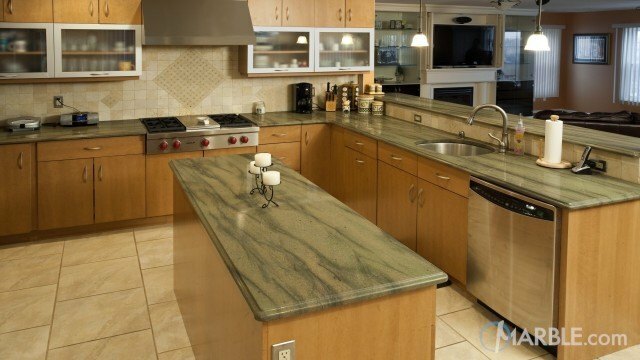 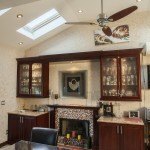 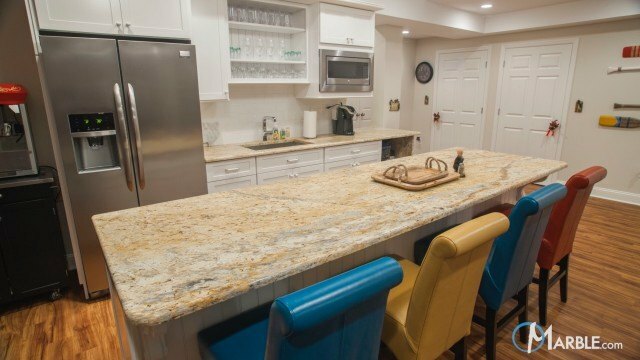 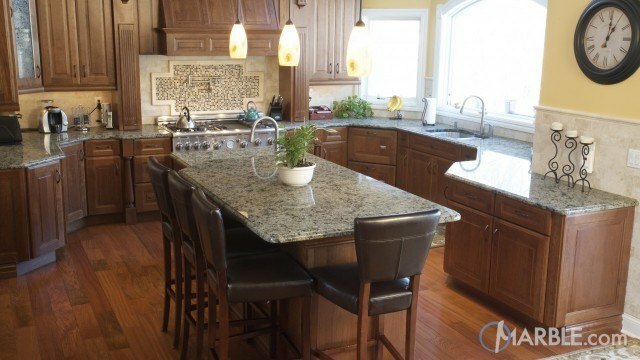 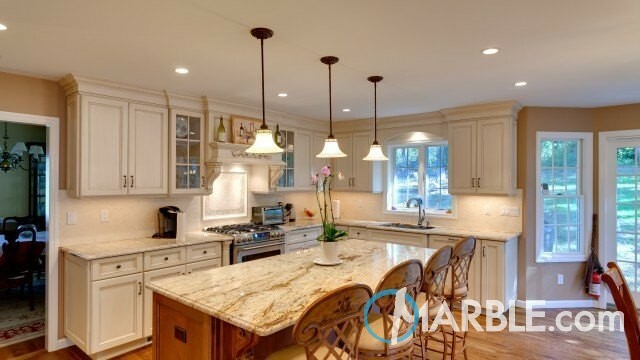 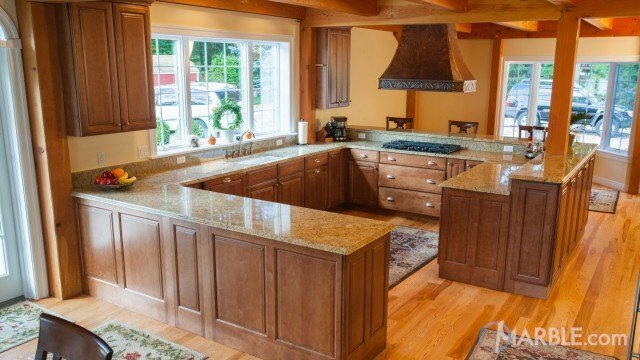 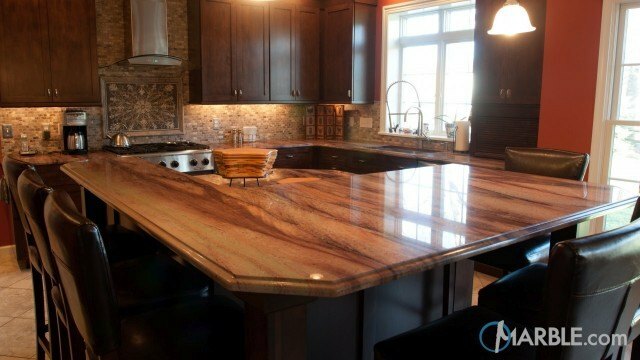 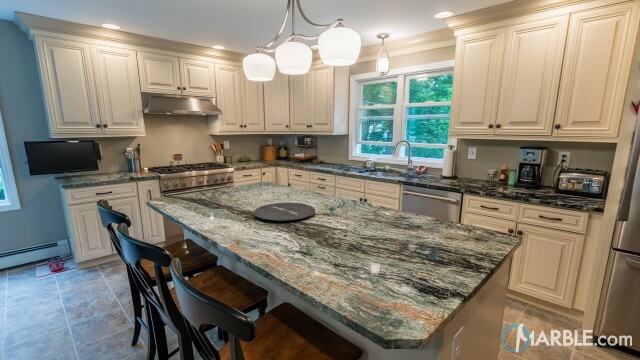 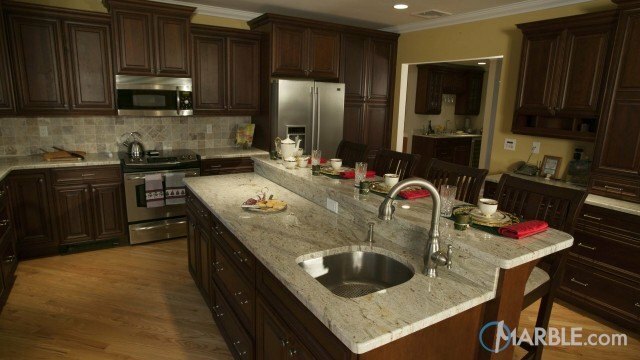 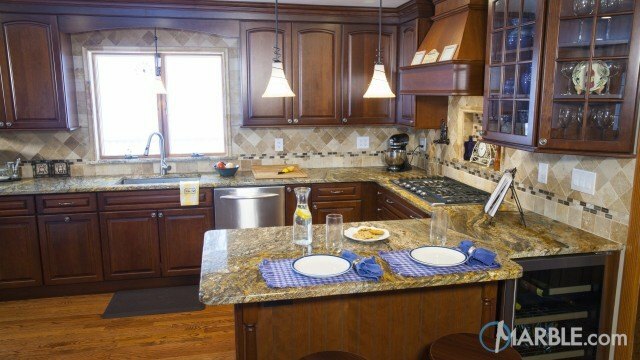 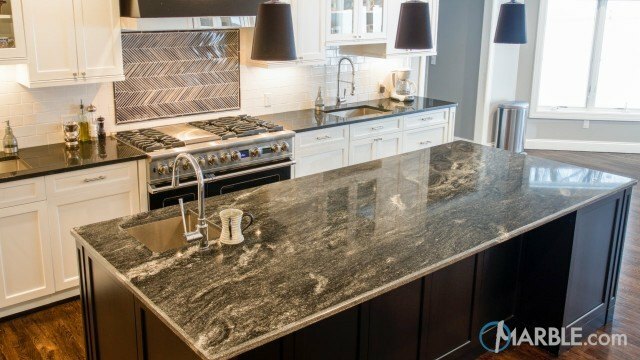 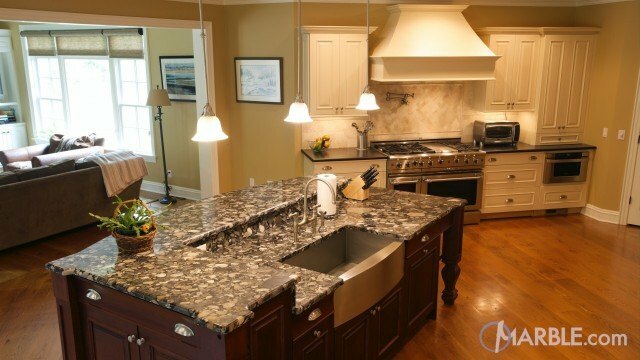 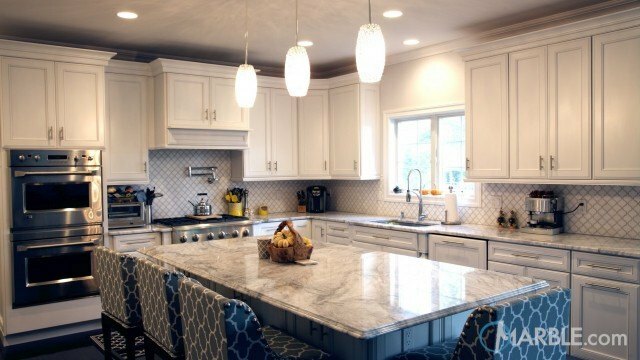 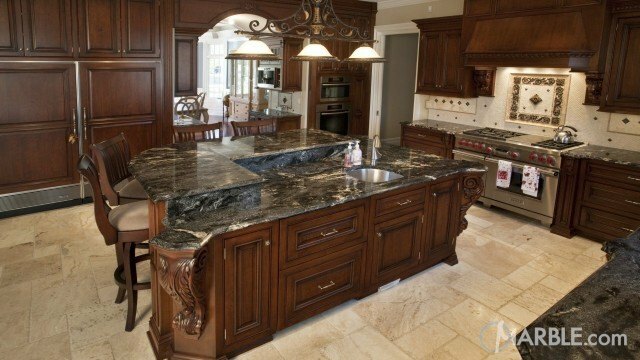 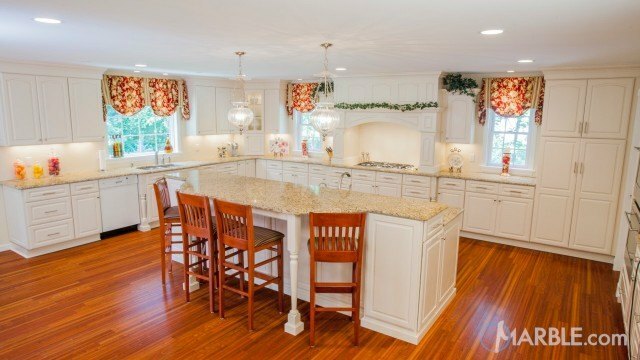 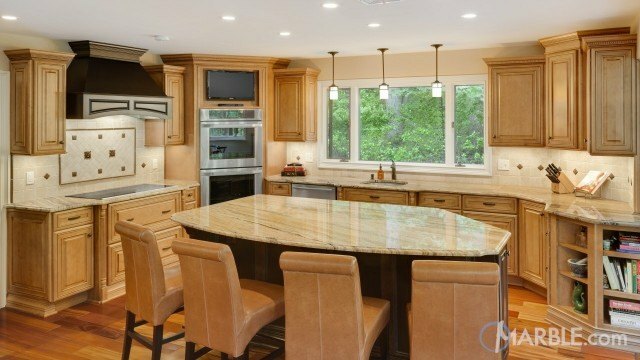 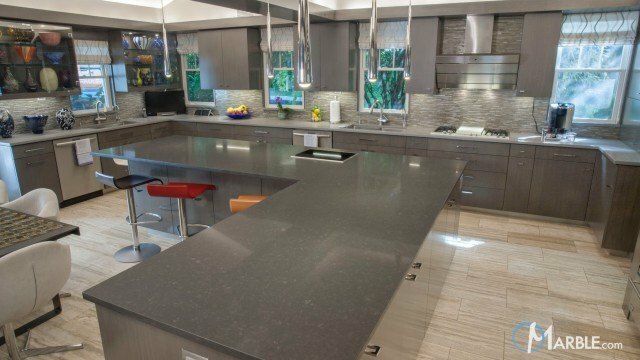 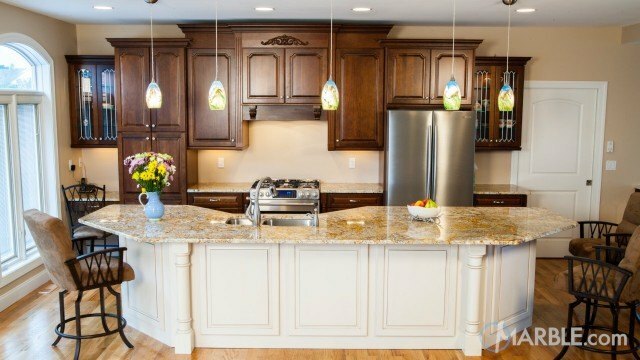 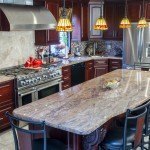 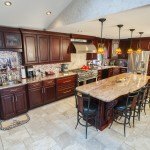 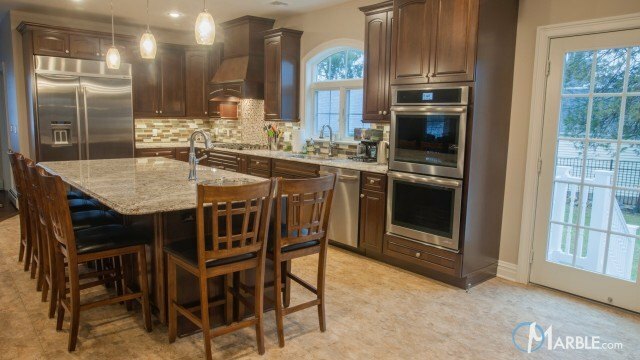 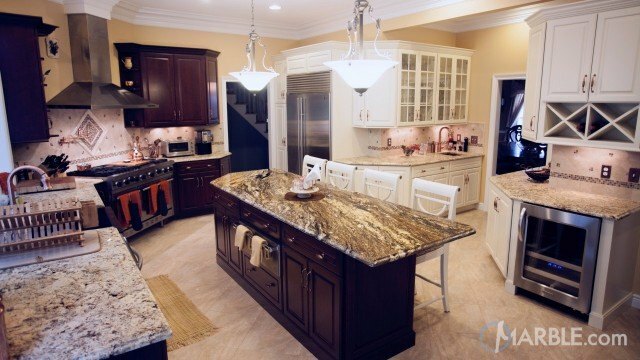 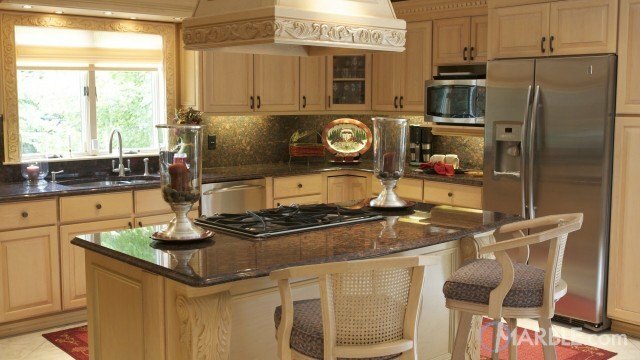 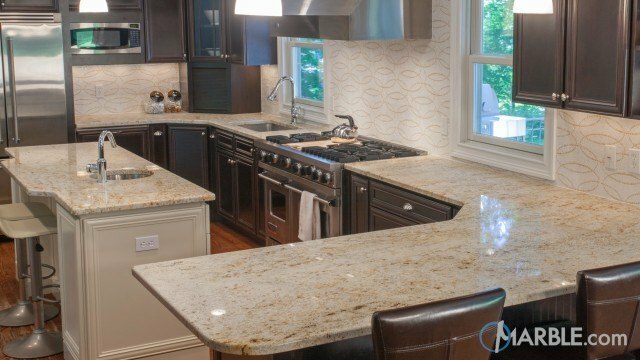 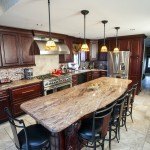 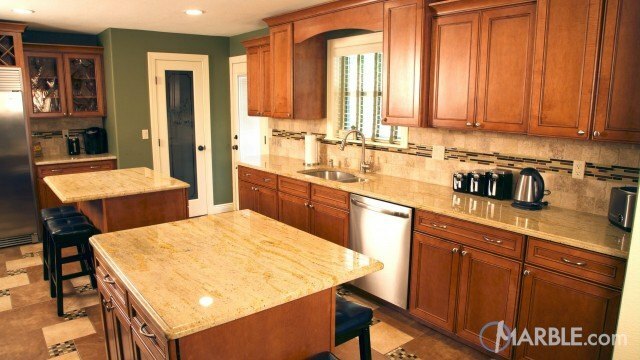 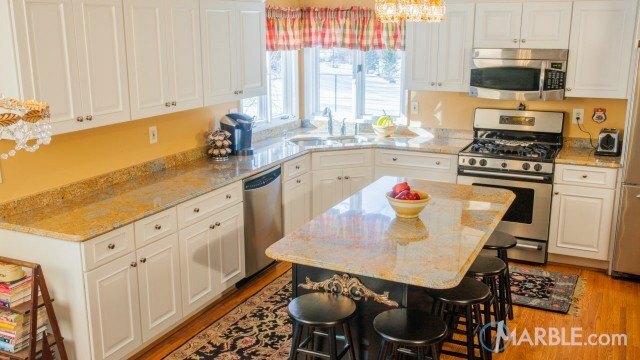 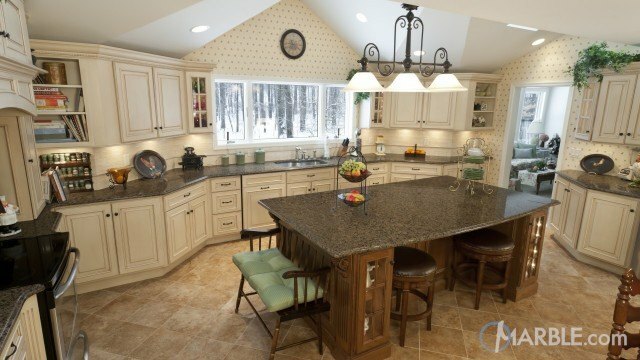 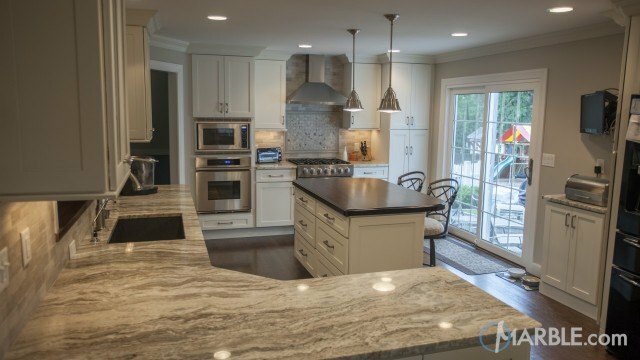 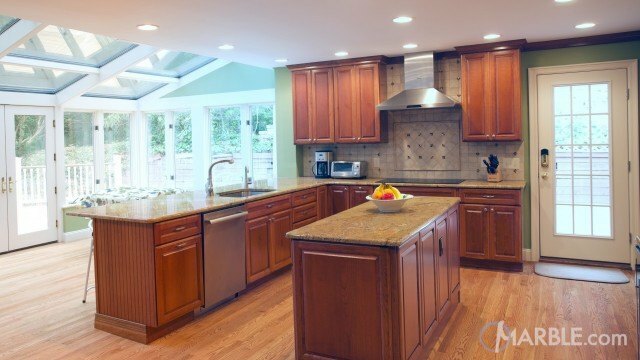 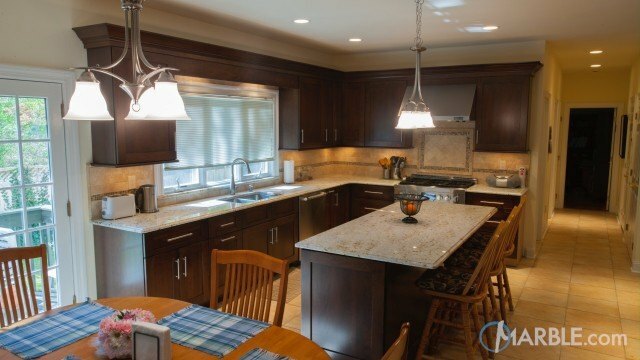 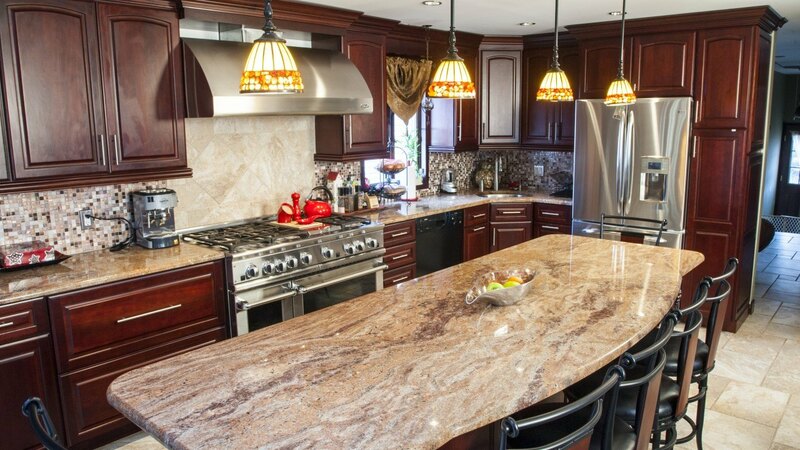 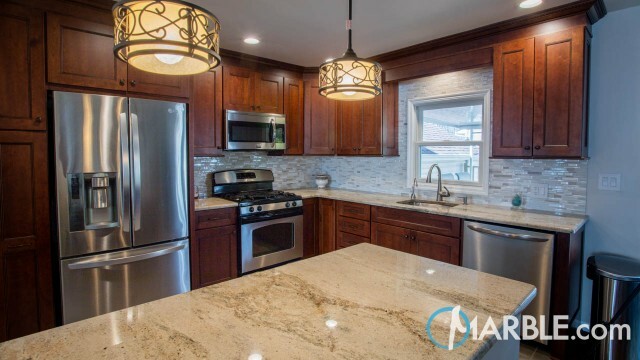 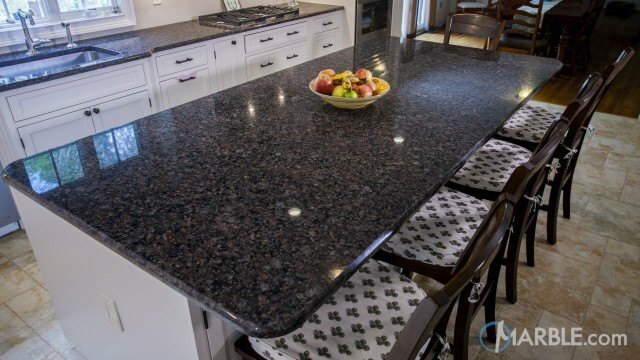 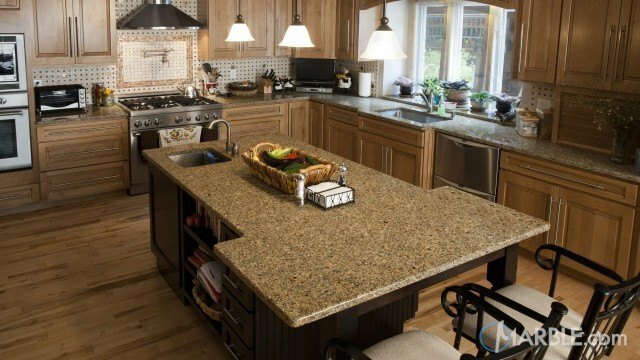 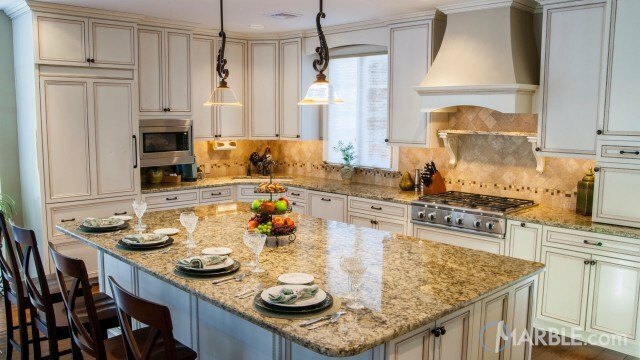 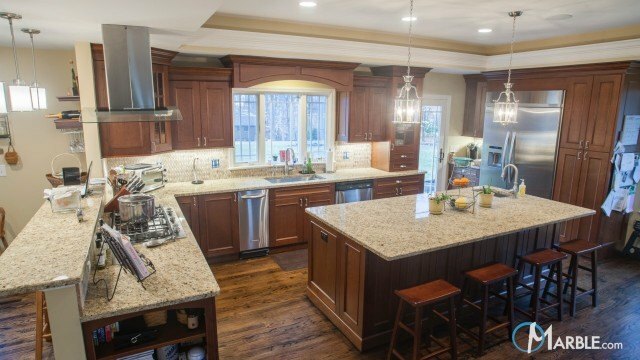 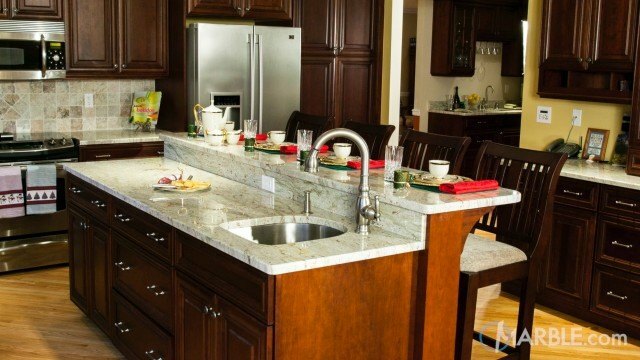 This beautiful kitchen features Vyara Gold granite kitchen counter tops with dark cherry wood cabinets. 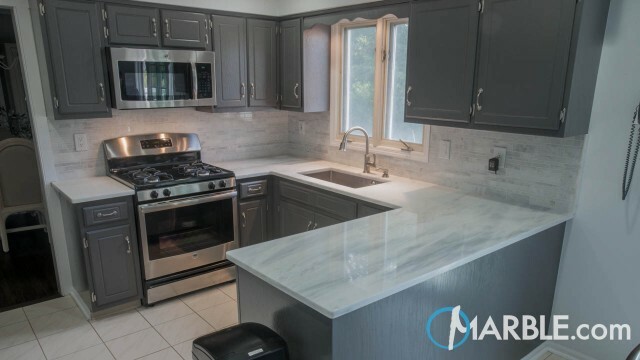 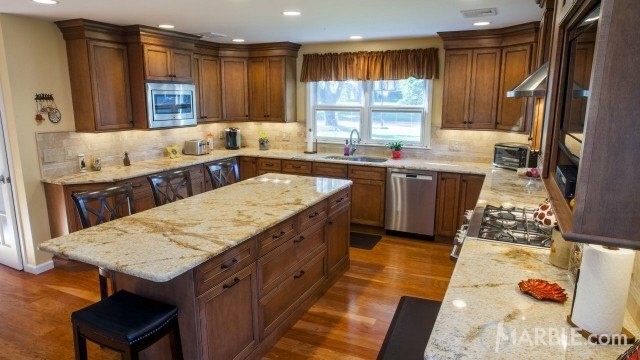 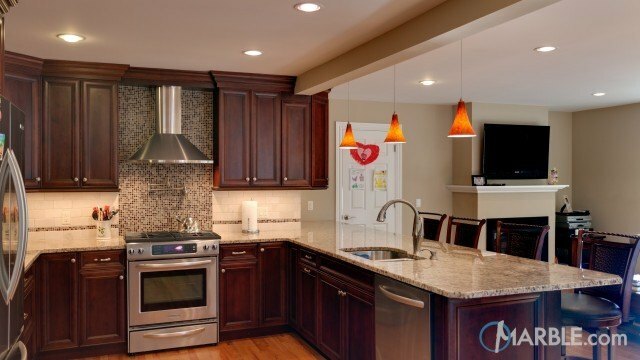 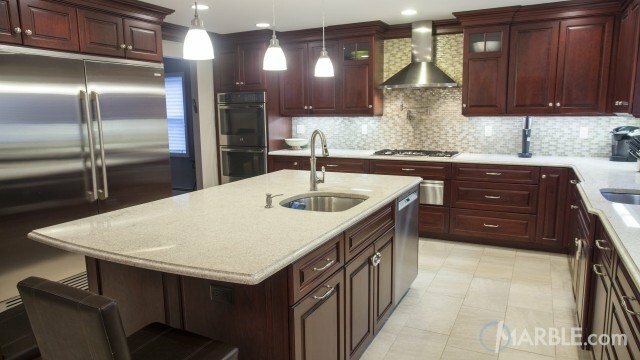 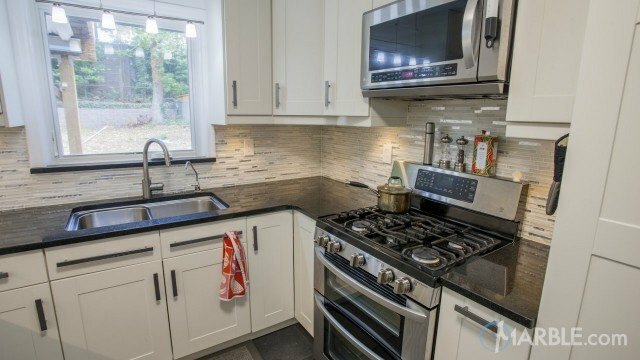 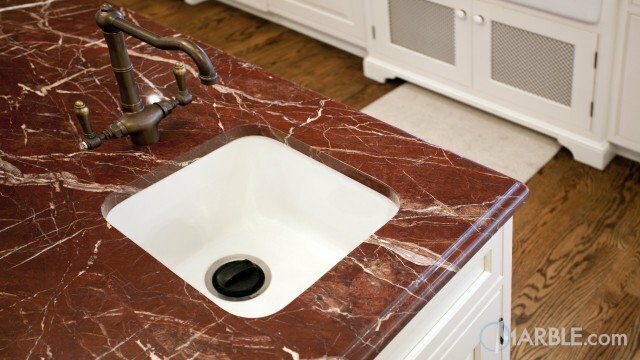 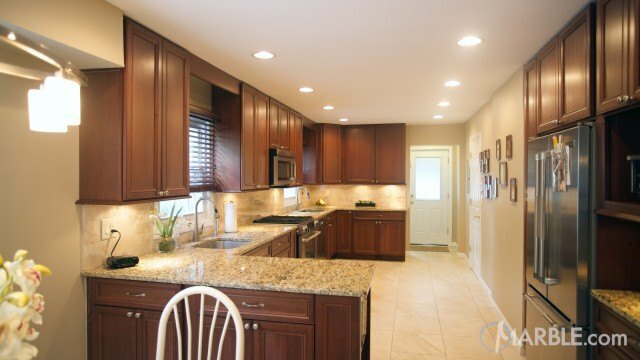 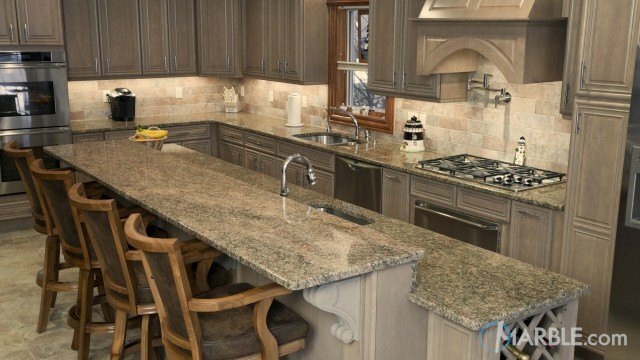 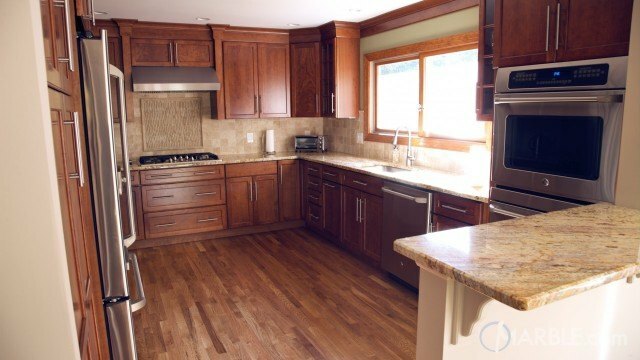 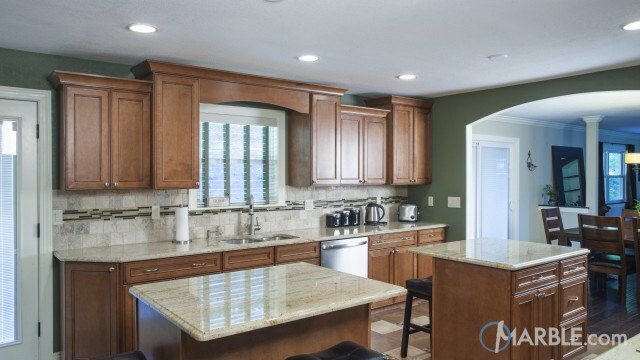 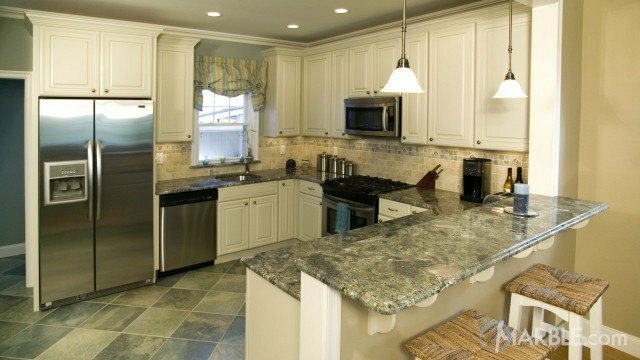 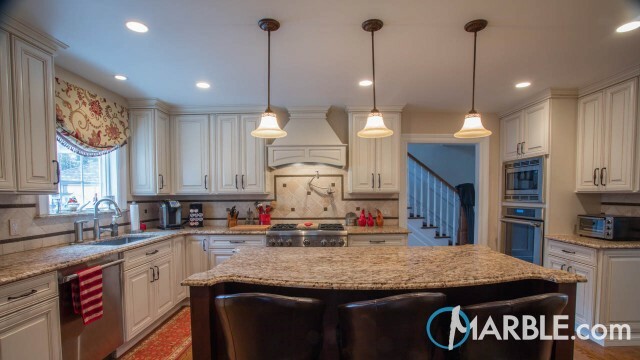 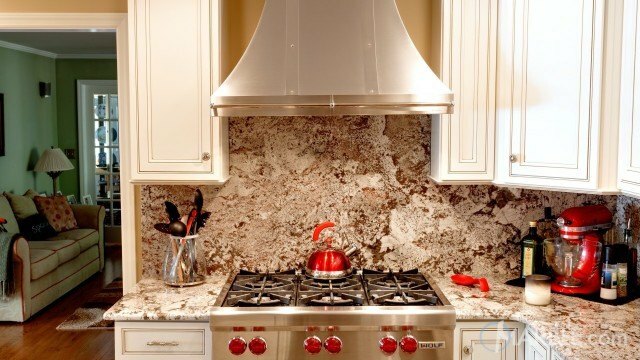 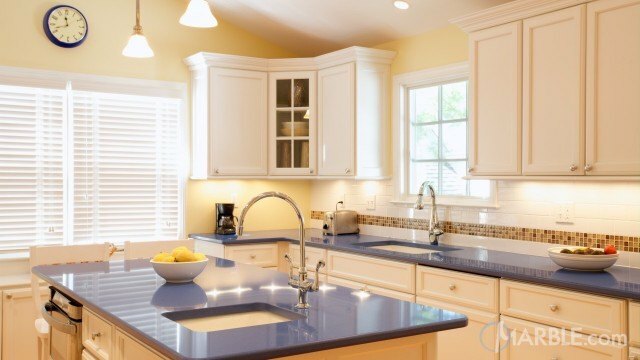 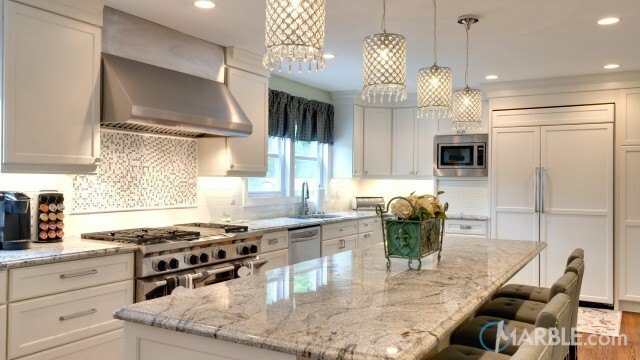 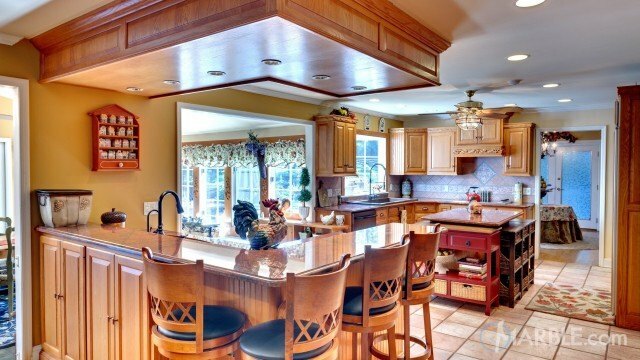 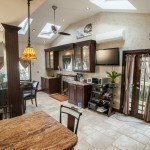 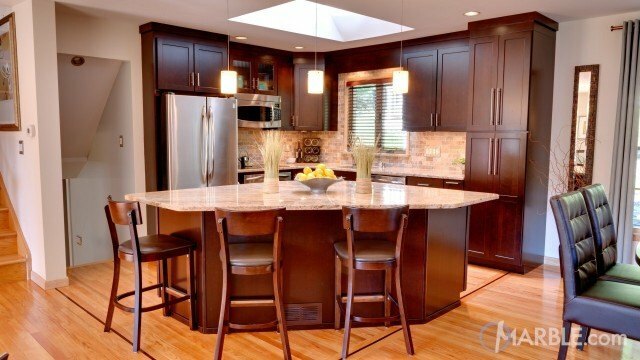 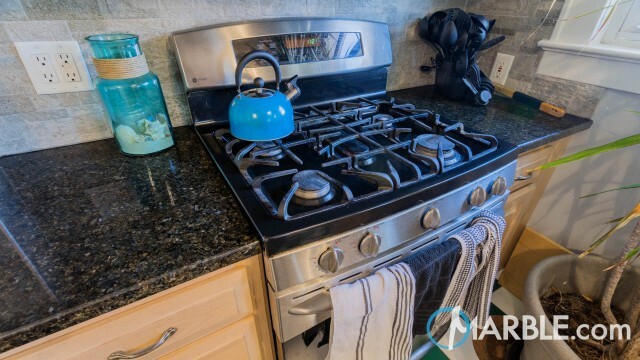 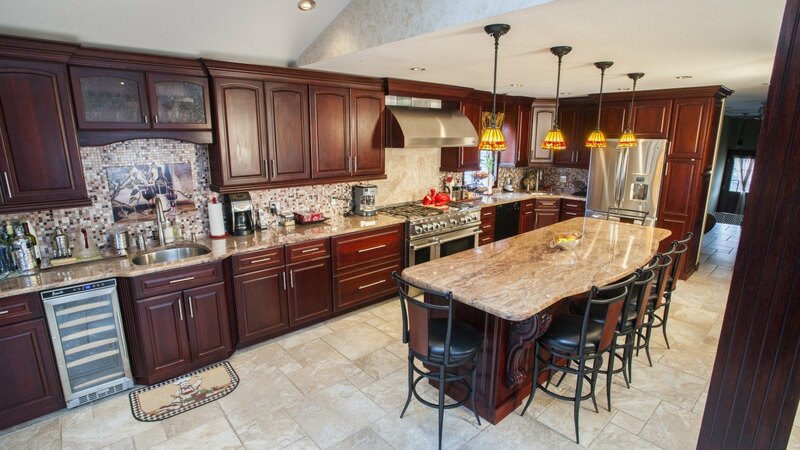 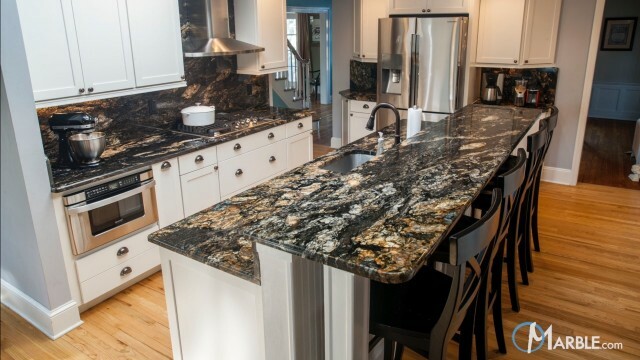 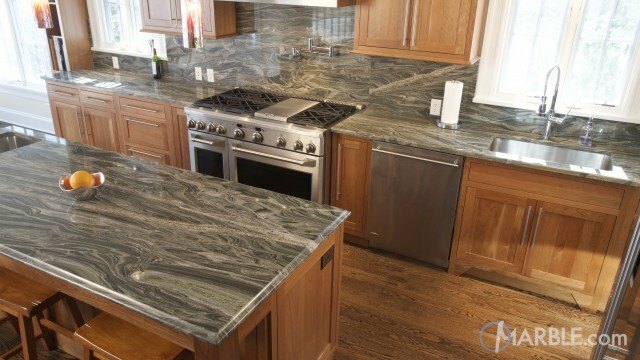 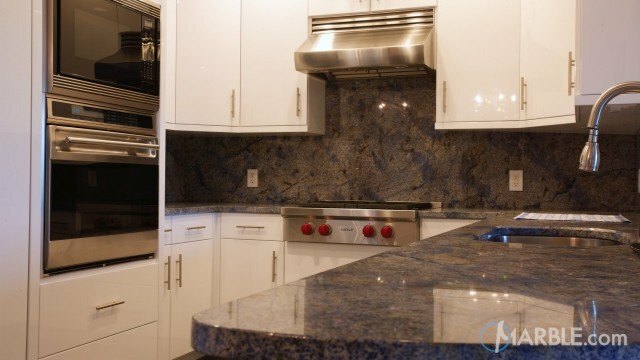 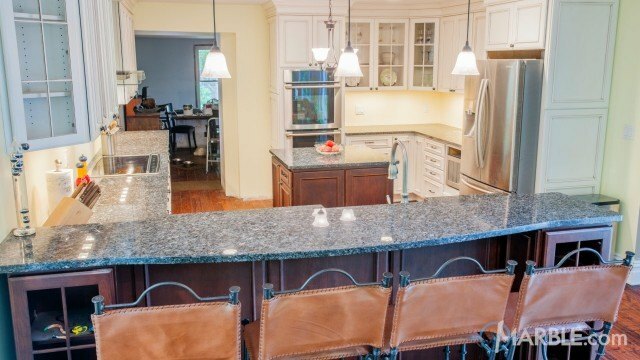 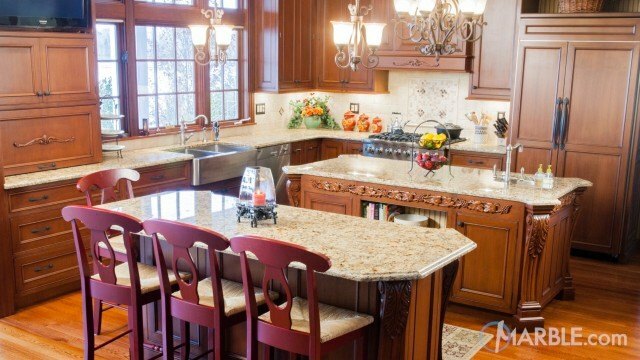 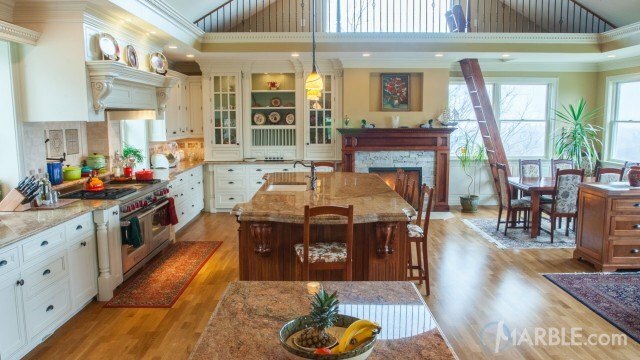 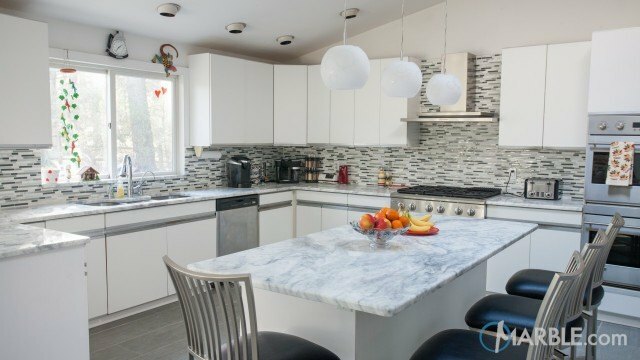 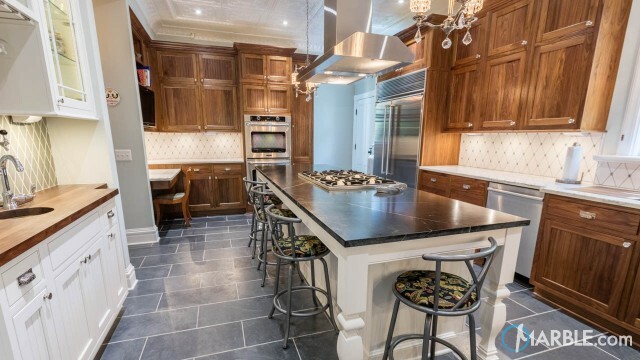 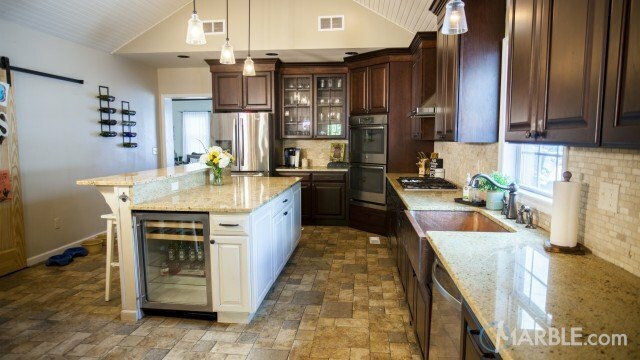 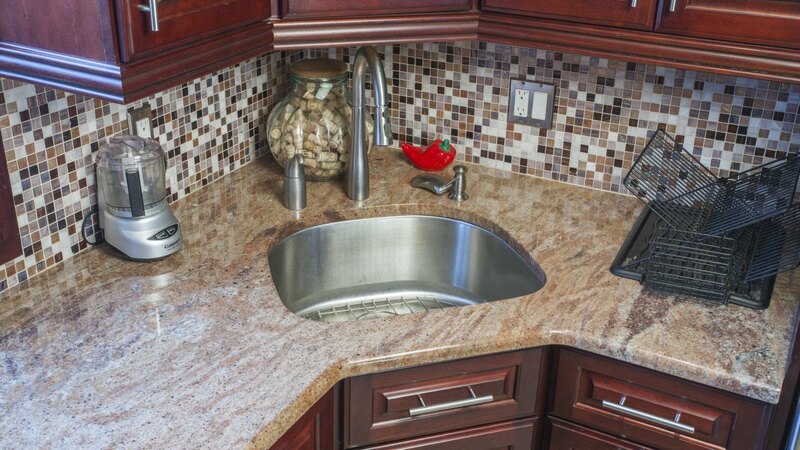 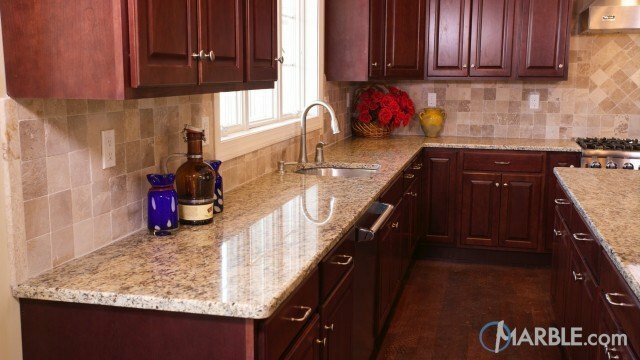 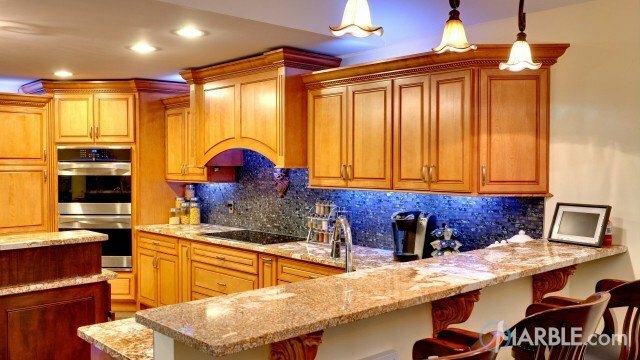 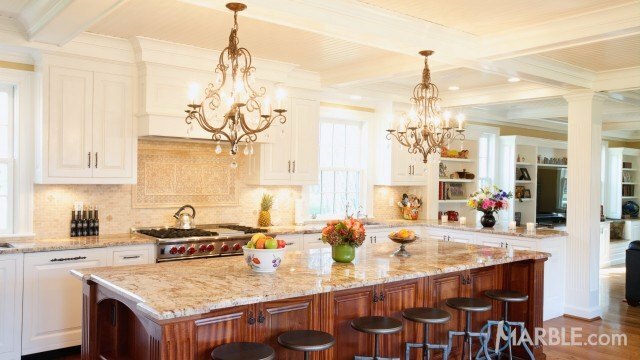 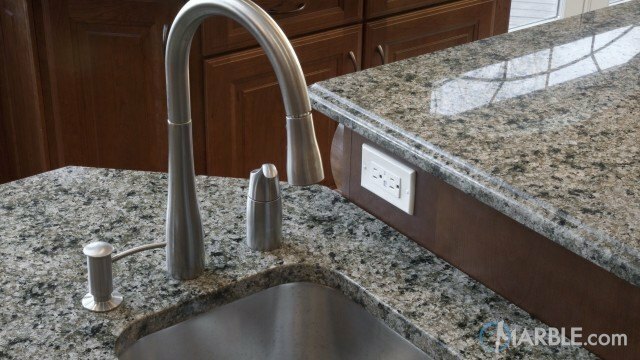 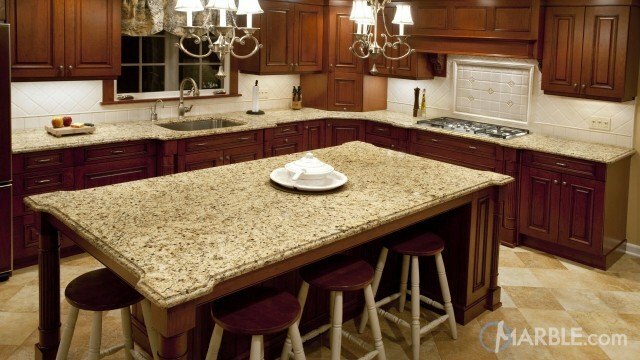 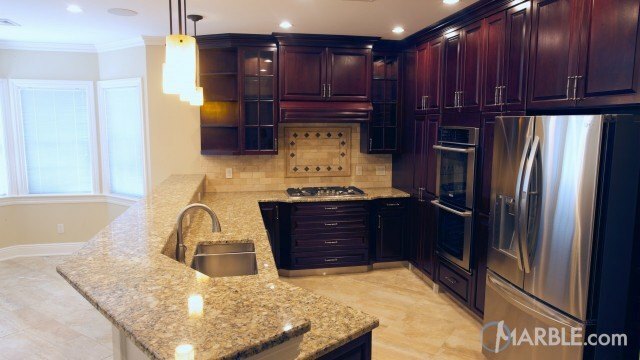 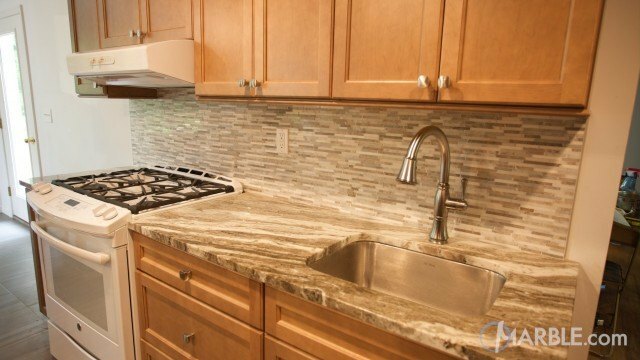 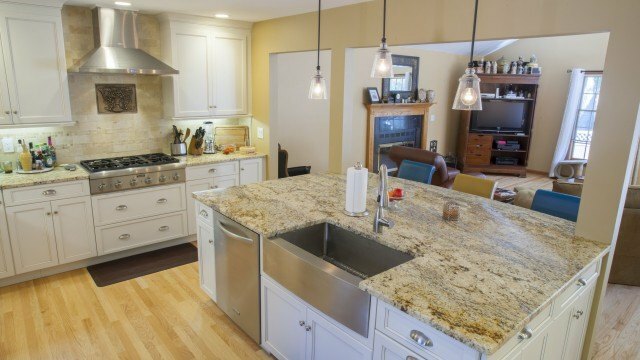 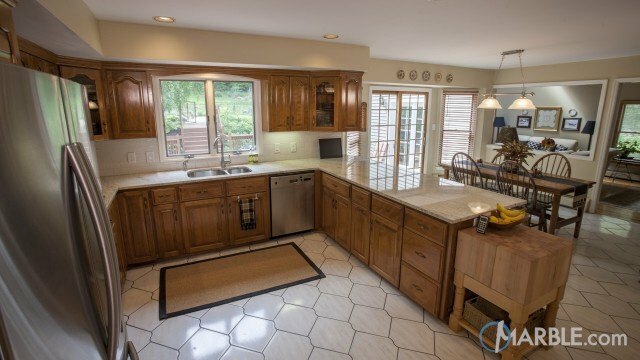 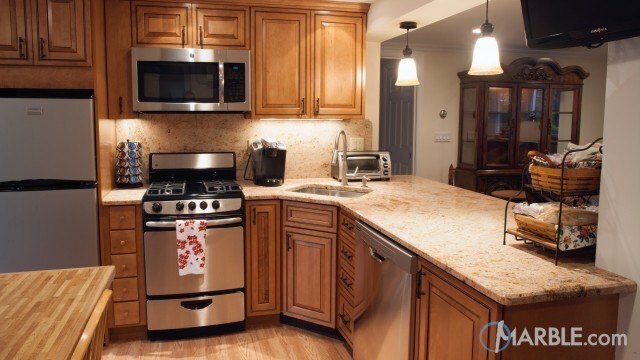 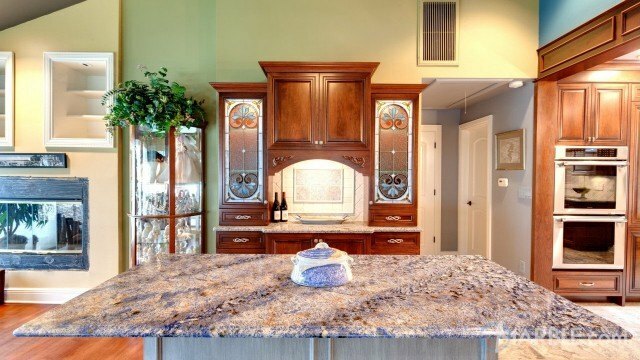 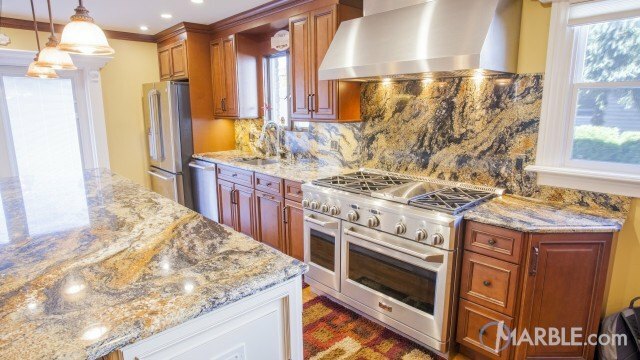 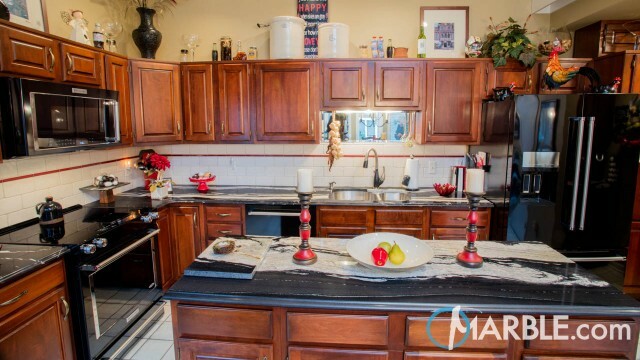 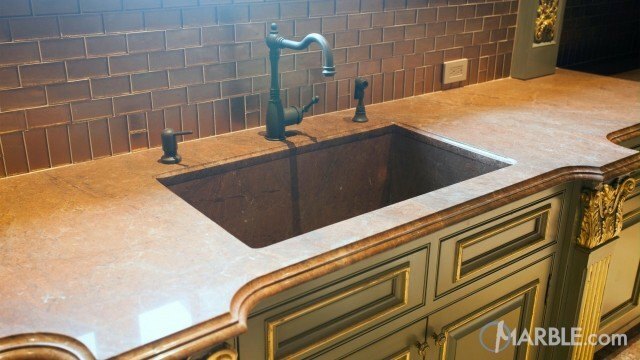 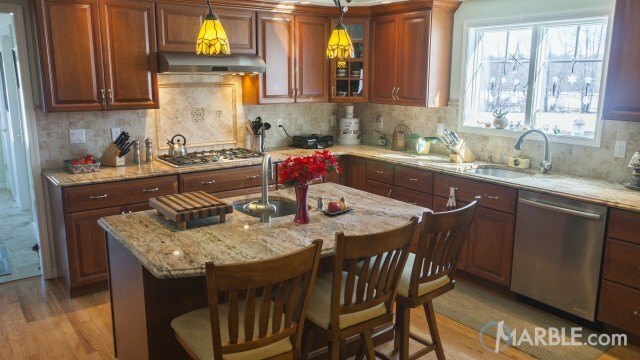 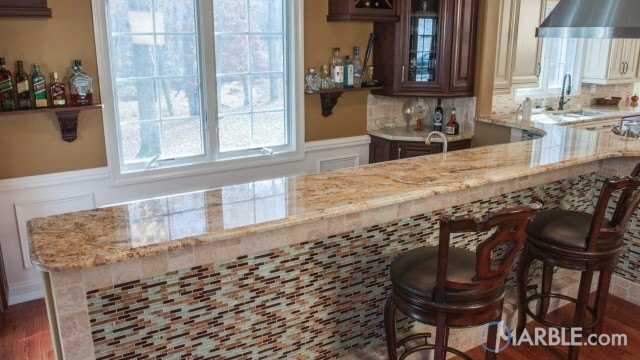 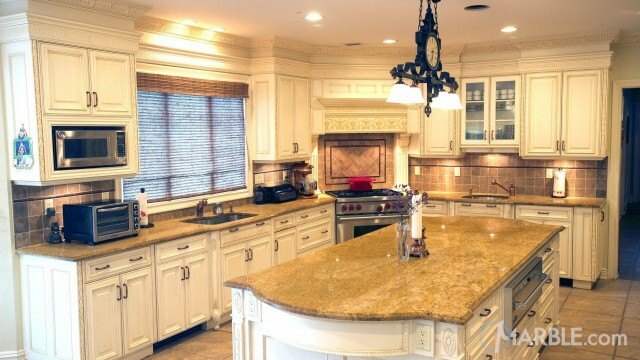 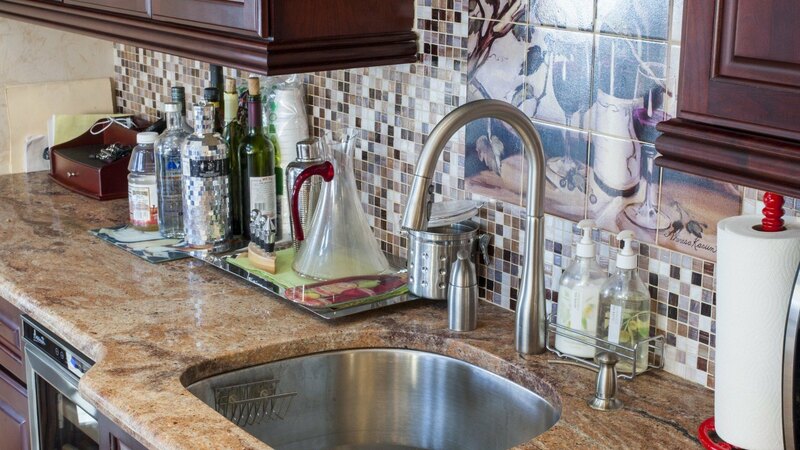 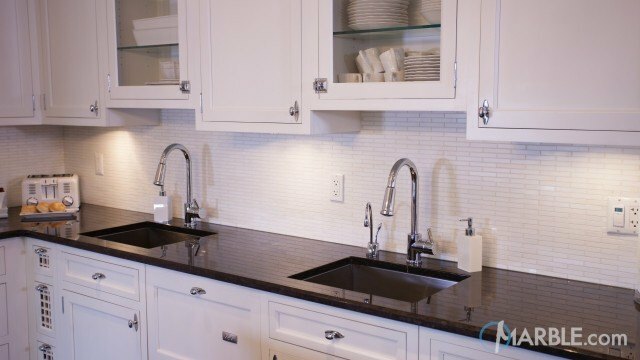 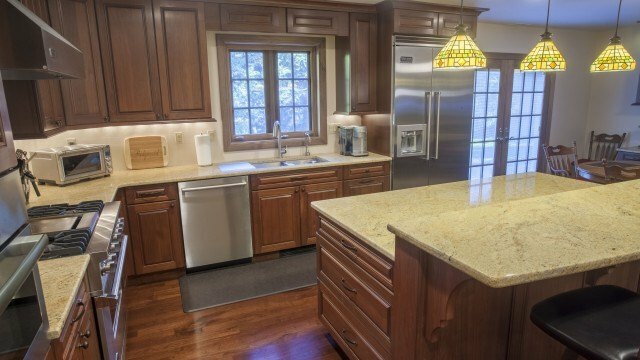 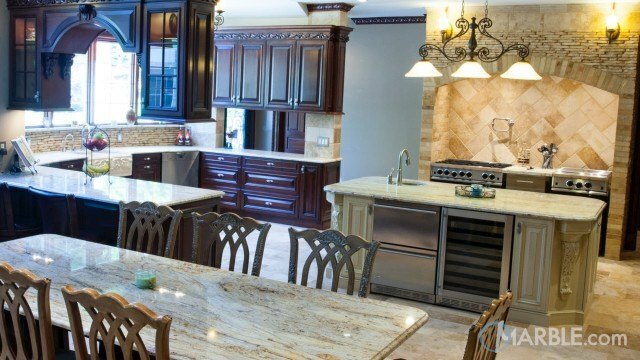 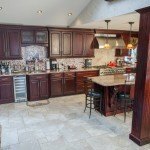 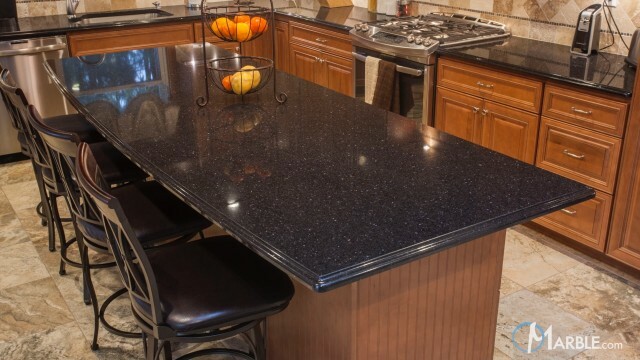 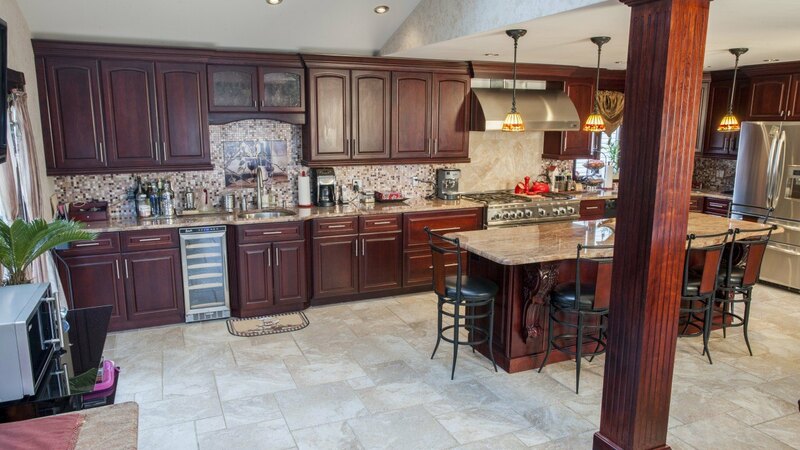 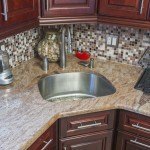 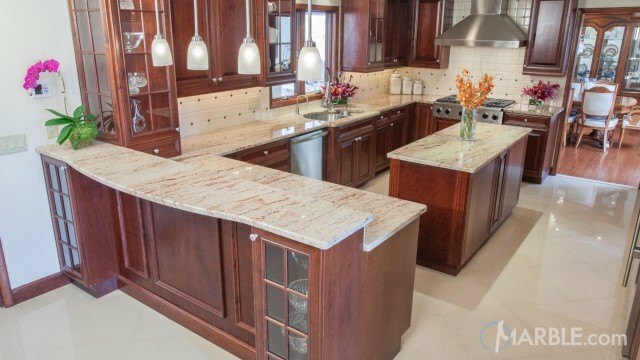 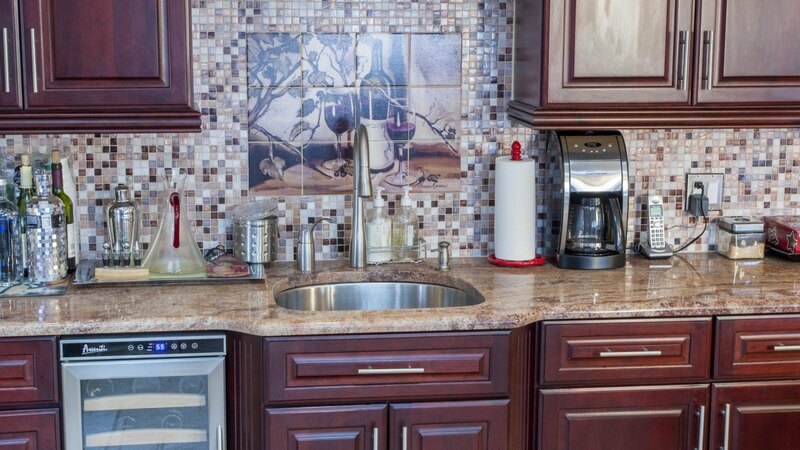 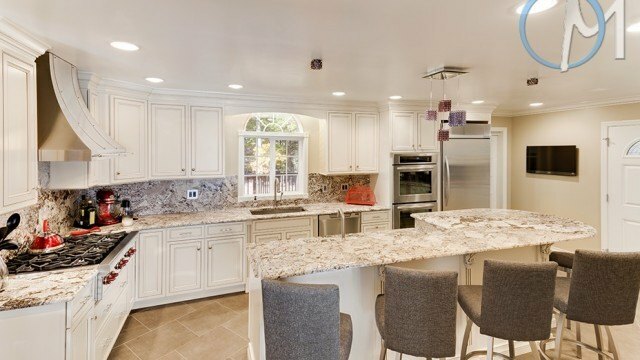 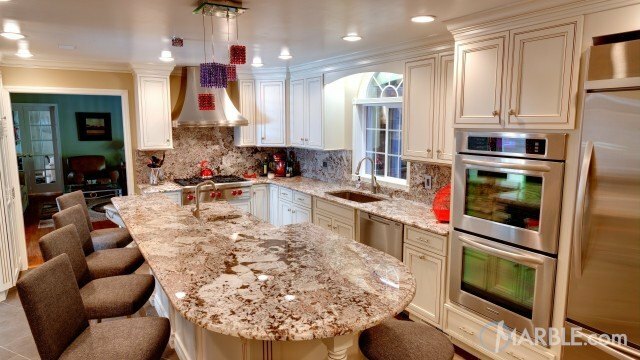 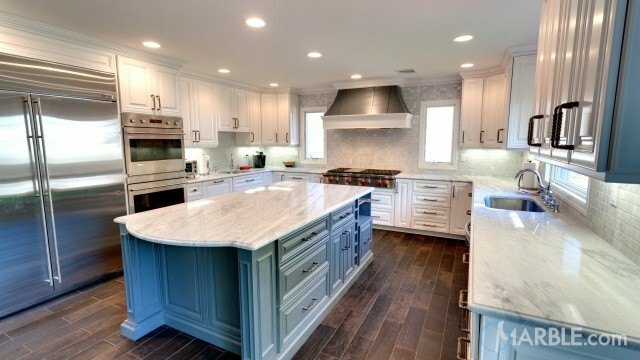 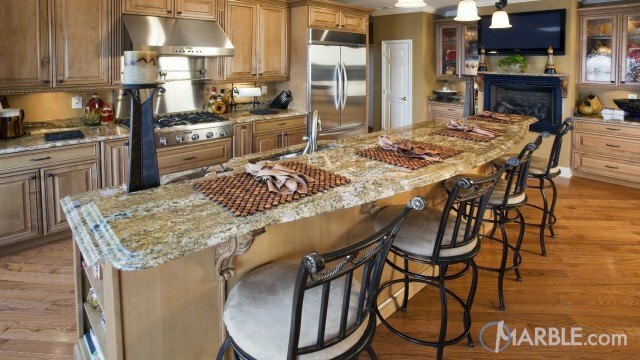 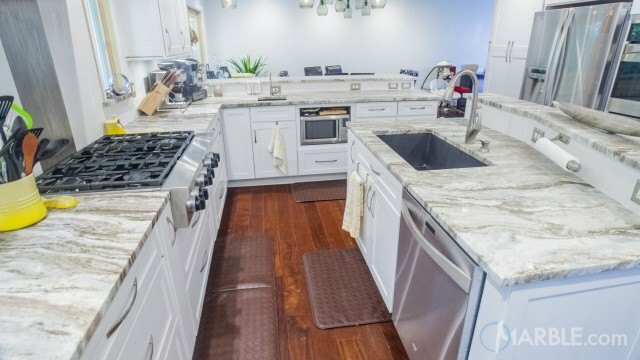 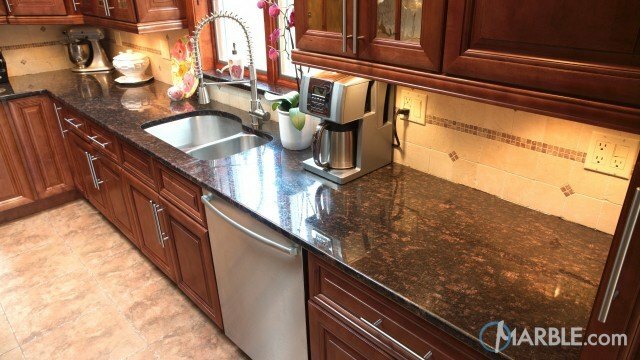 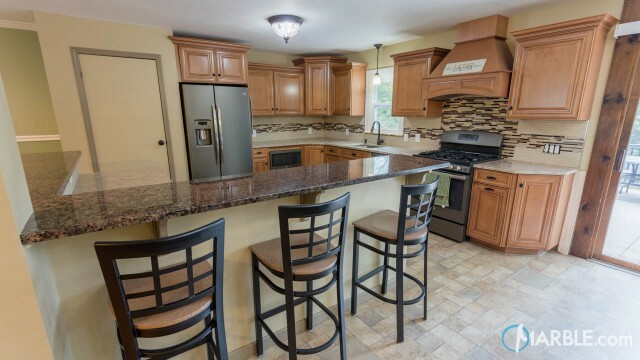 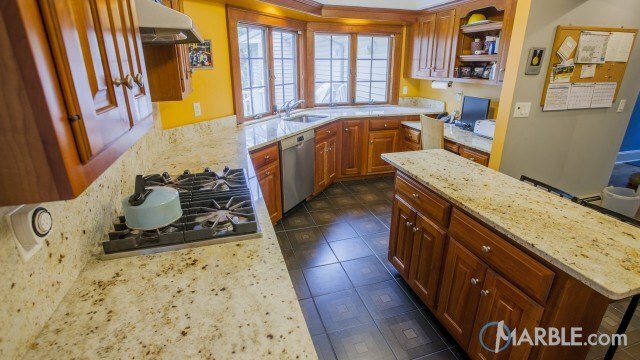 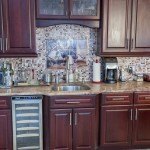 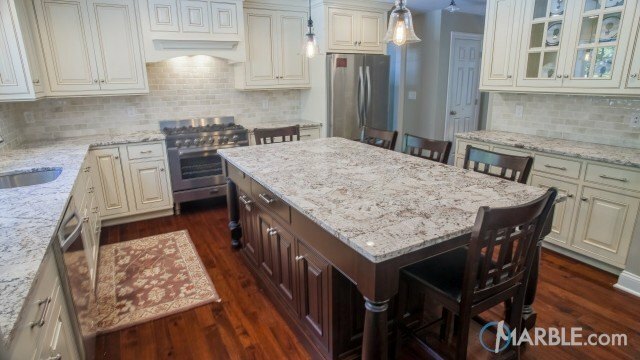 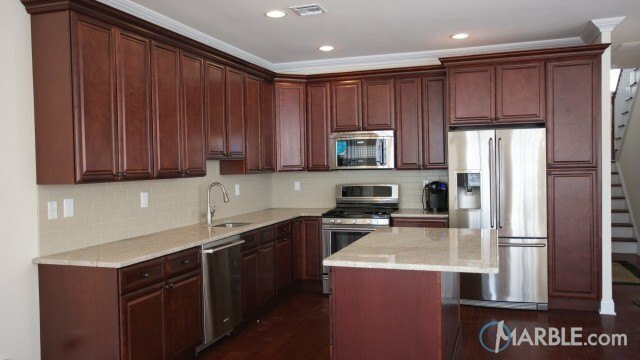 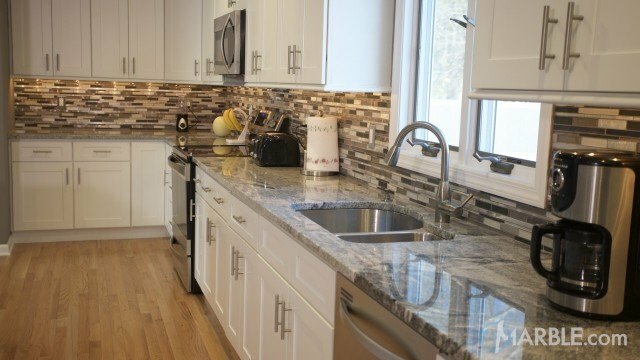 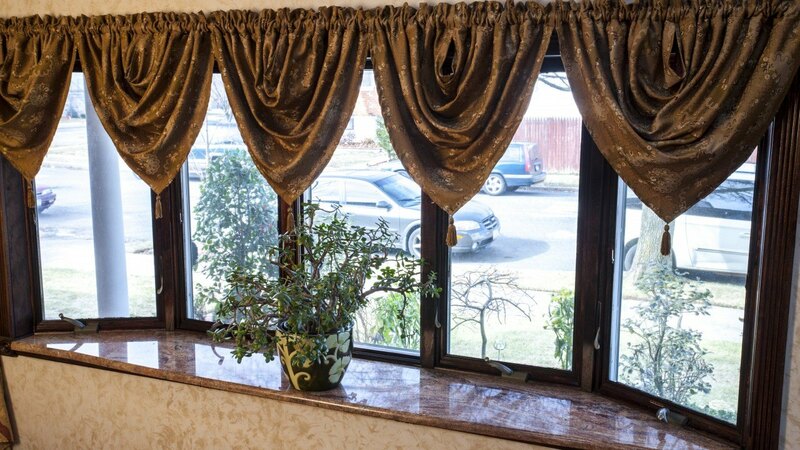 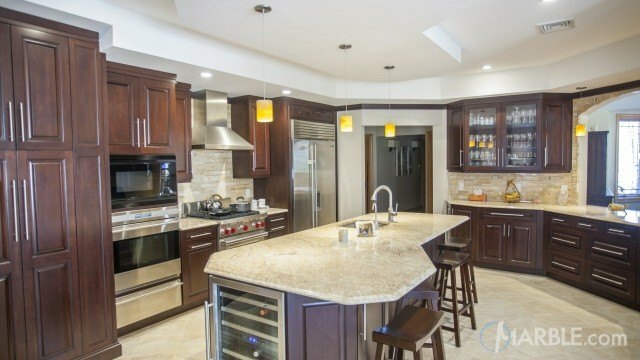 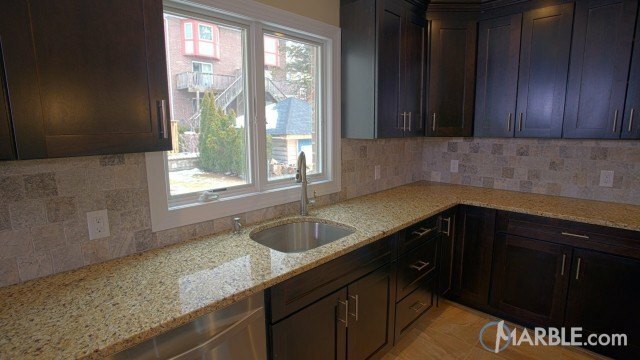 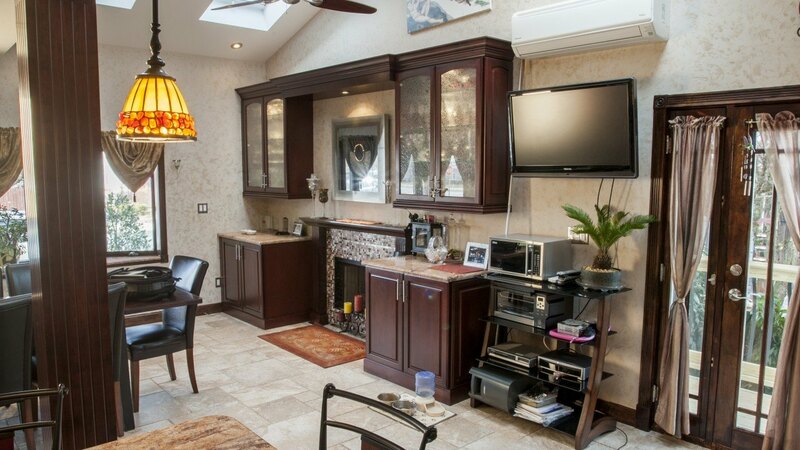 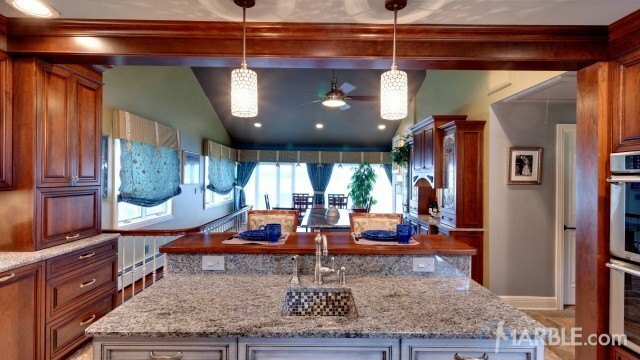 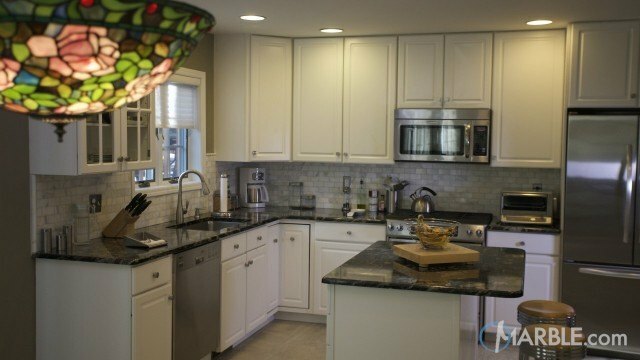 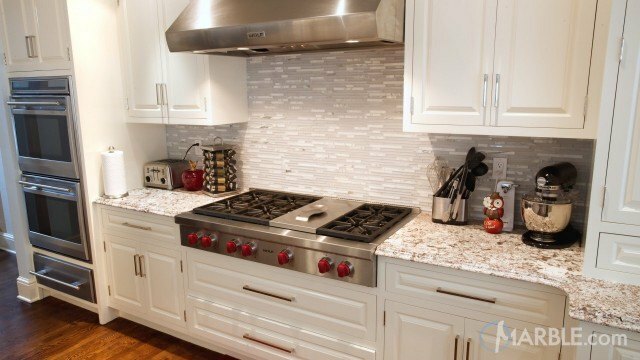 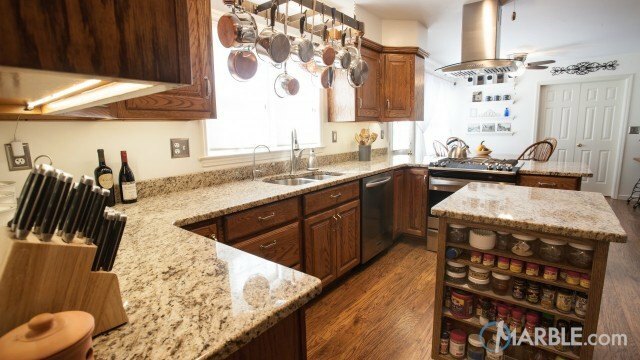 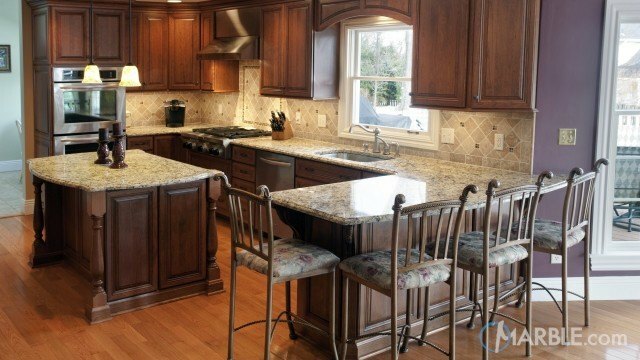 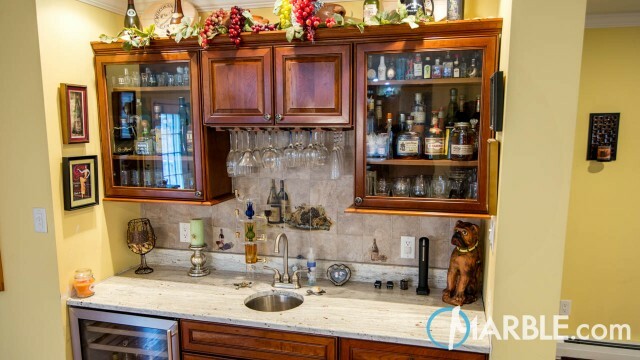 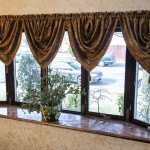 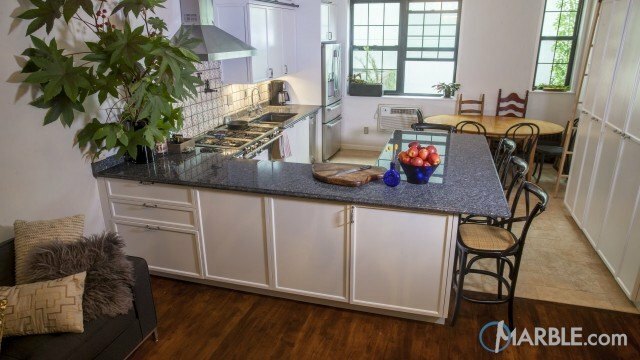 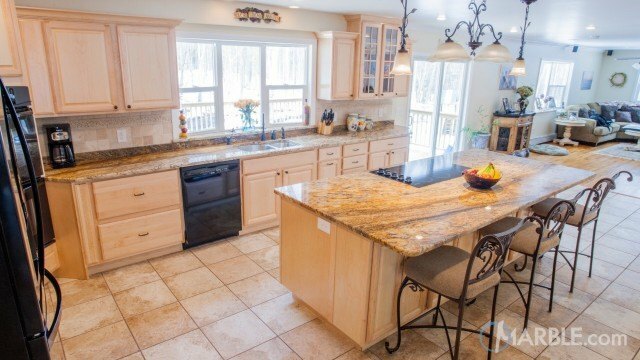 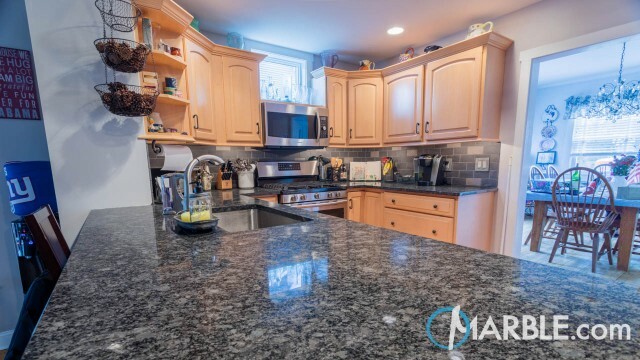 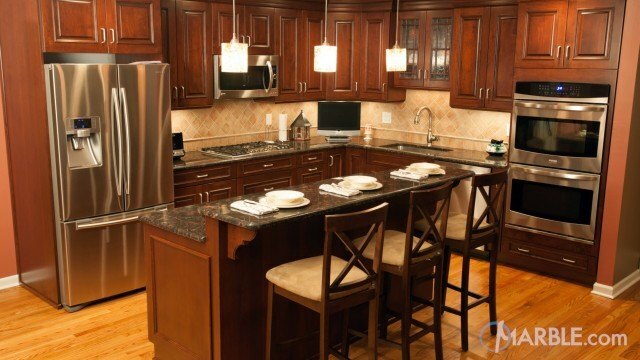 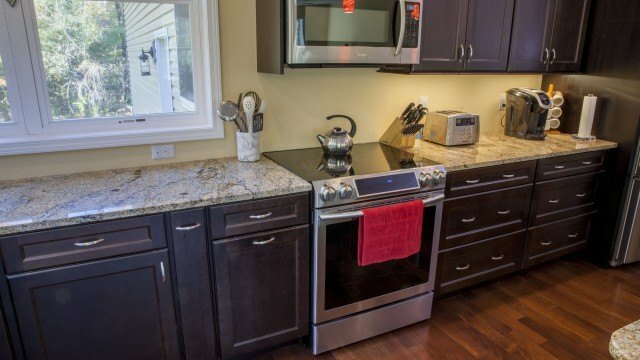 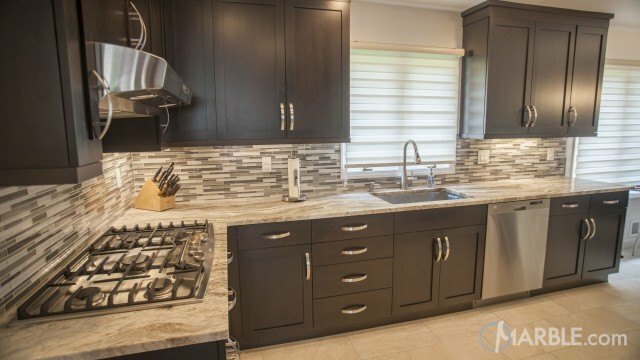 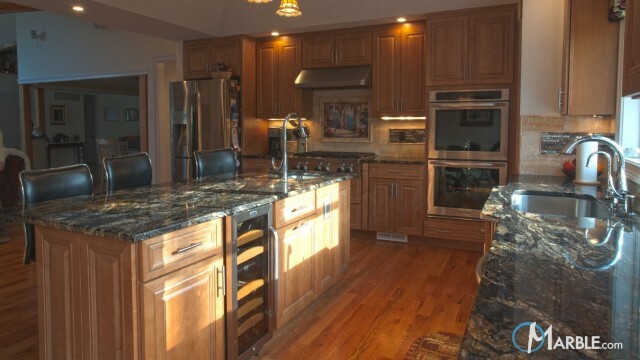 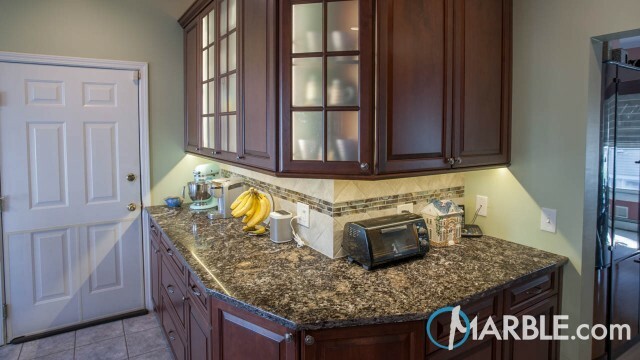 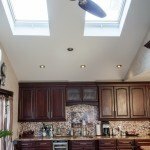 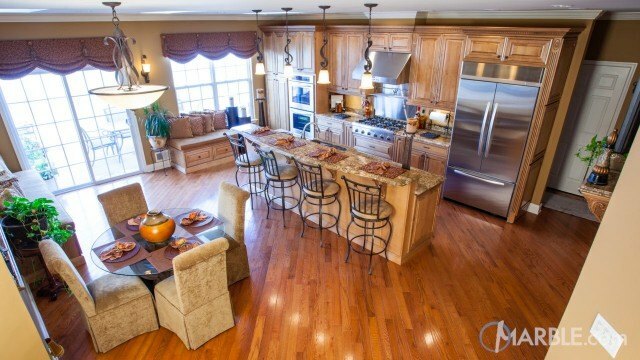 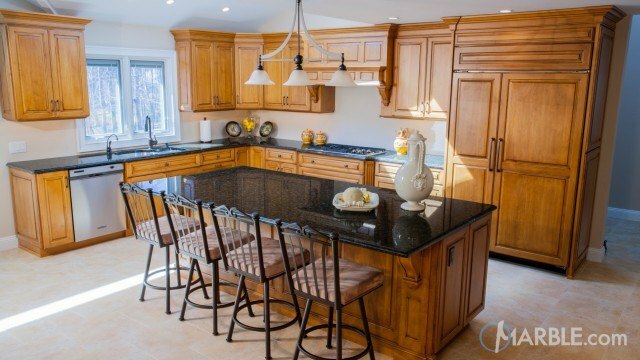 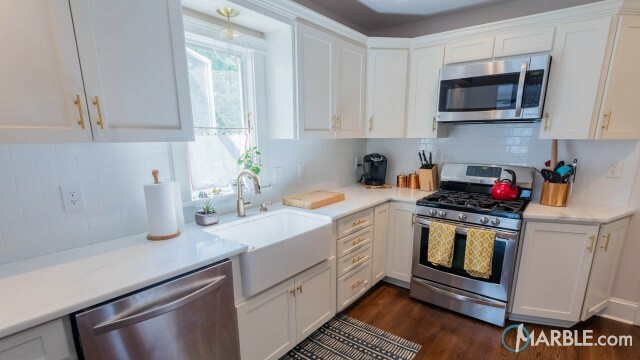 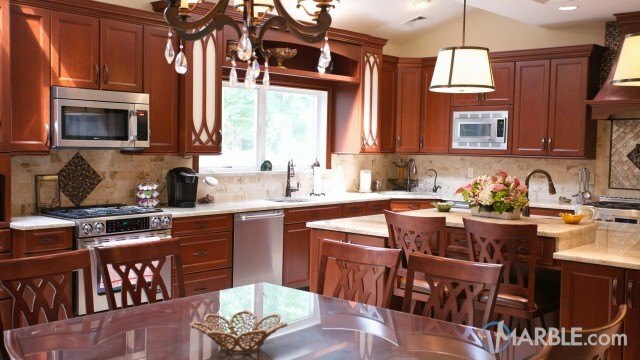 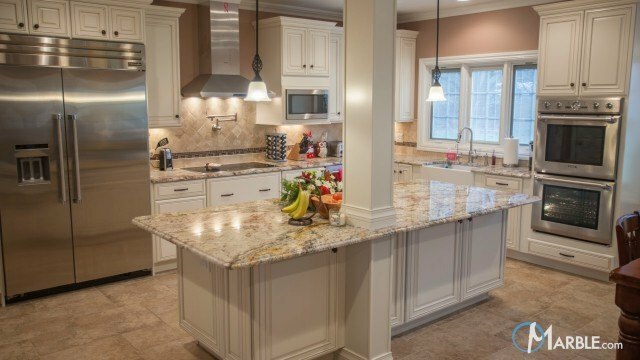 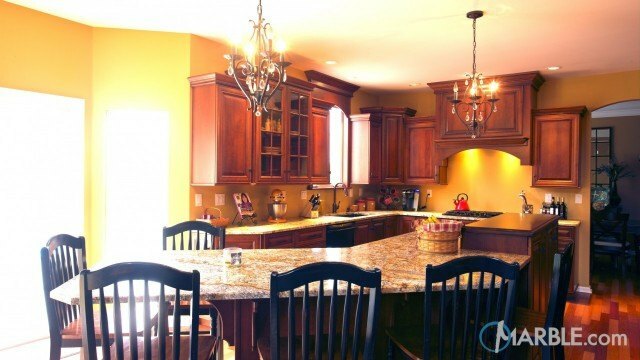 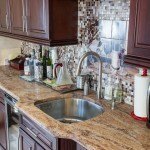 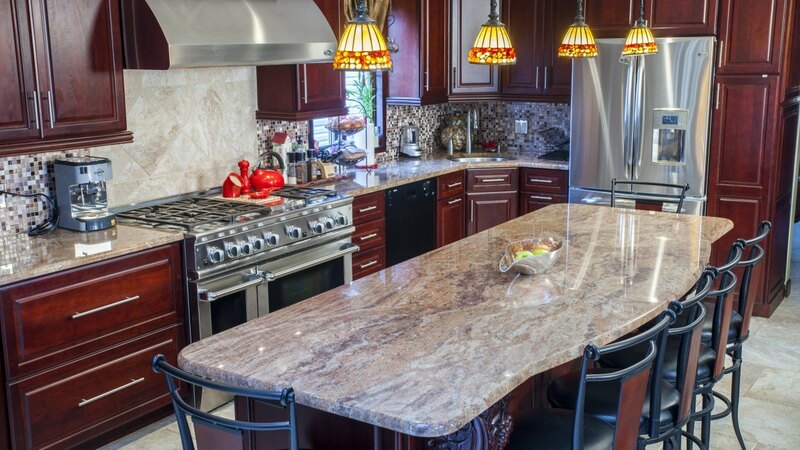 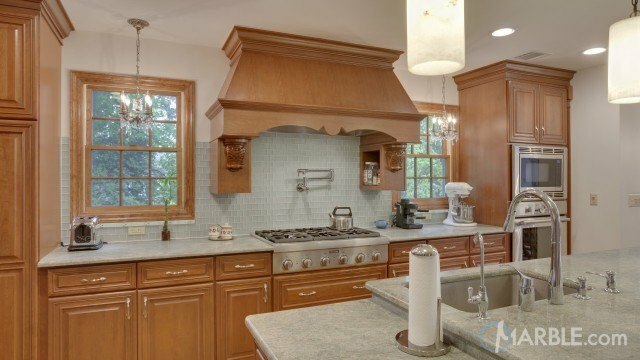 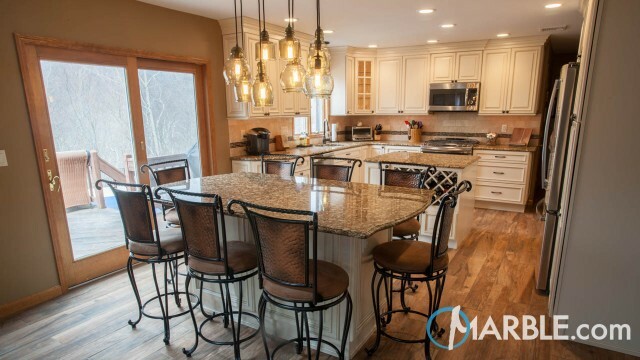 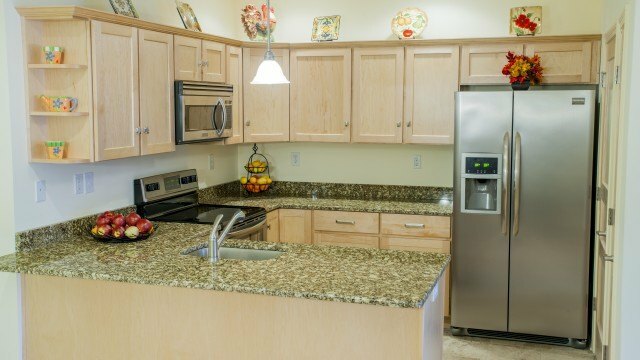 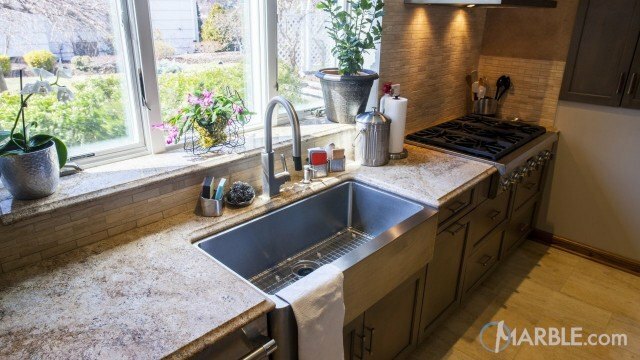 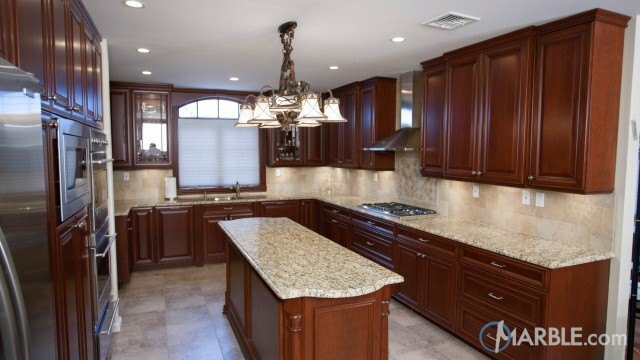 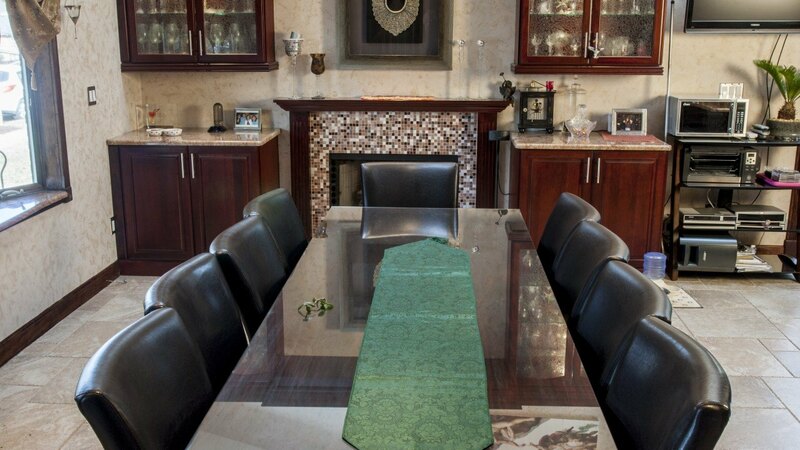 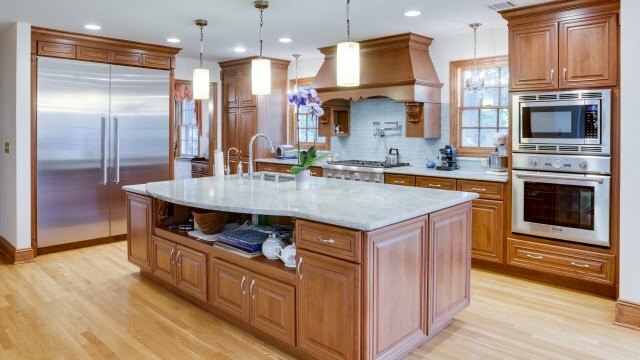 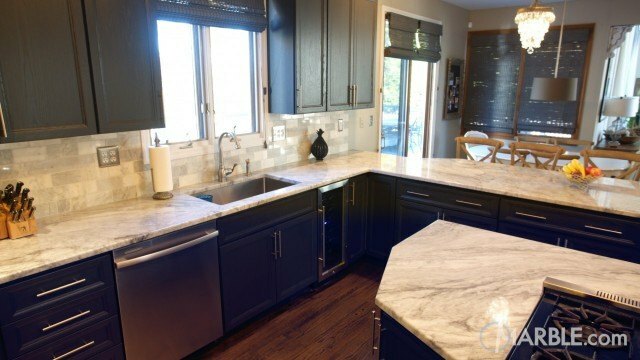 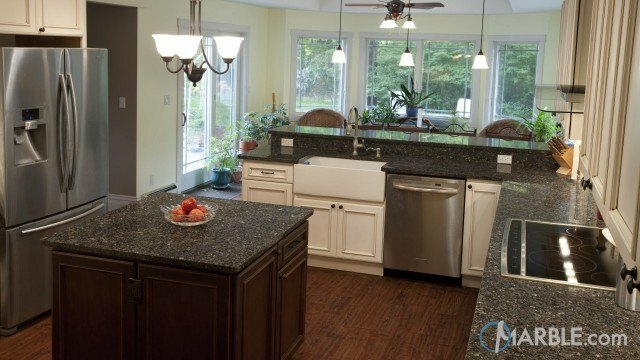 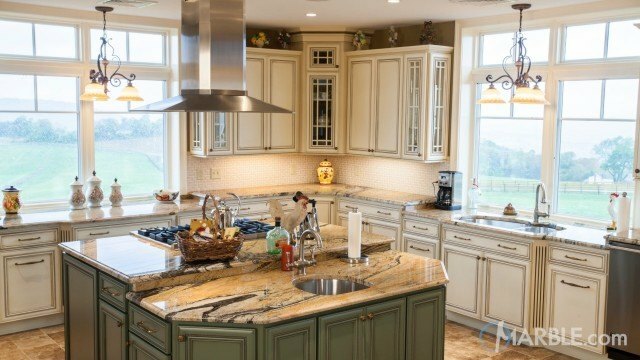 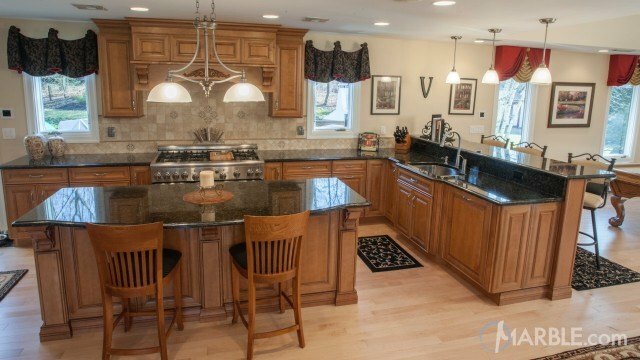 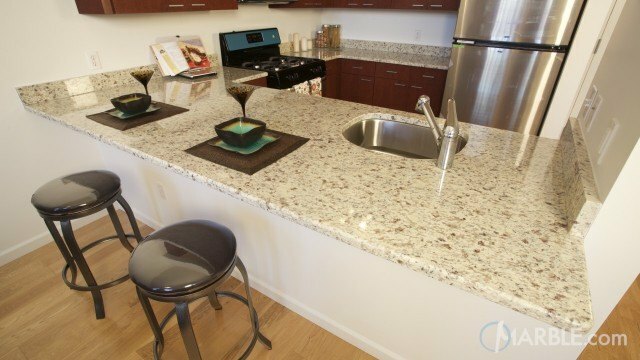 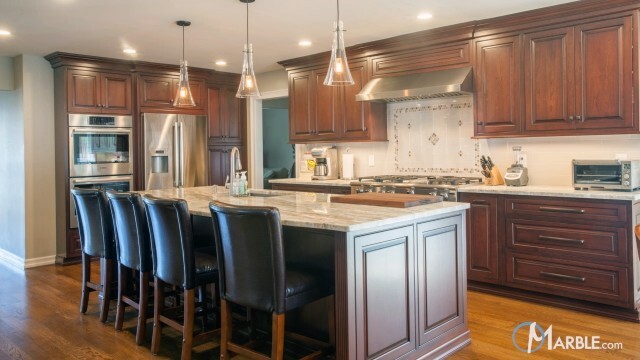 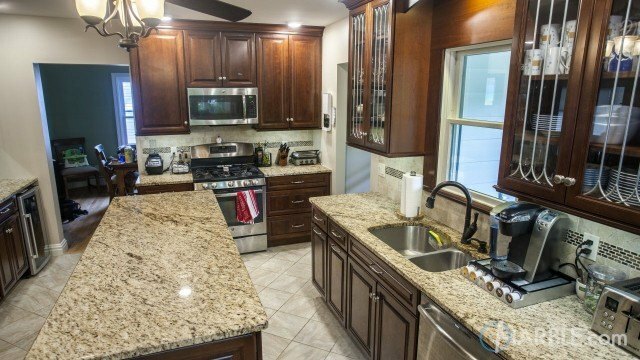 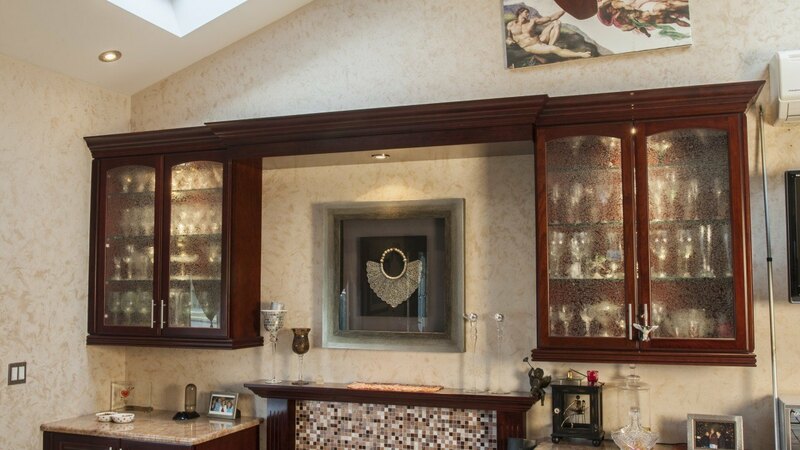 The rich colors of the cabinets bring out the burgundy hues of the granite counter tops. 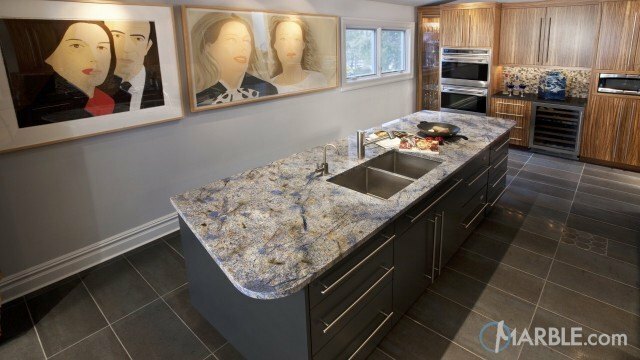 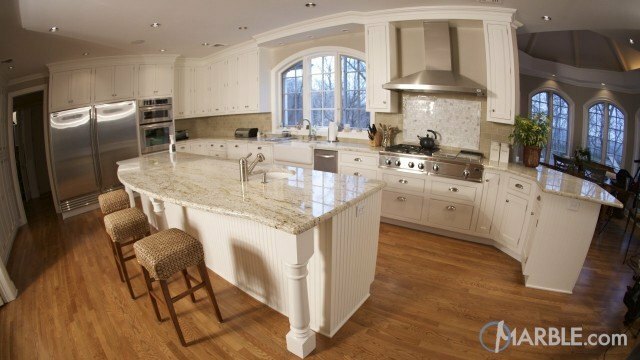 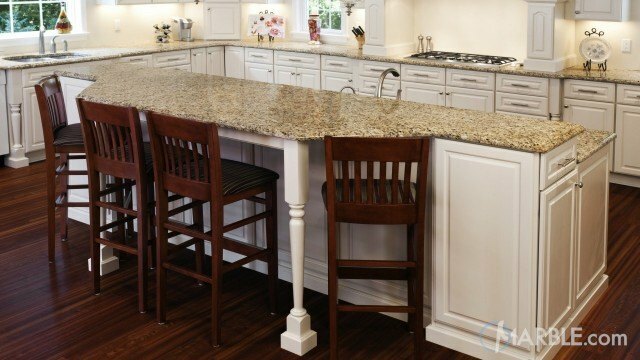 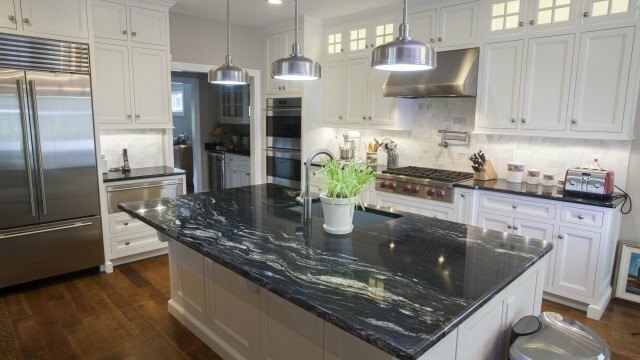 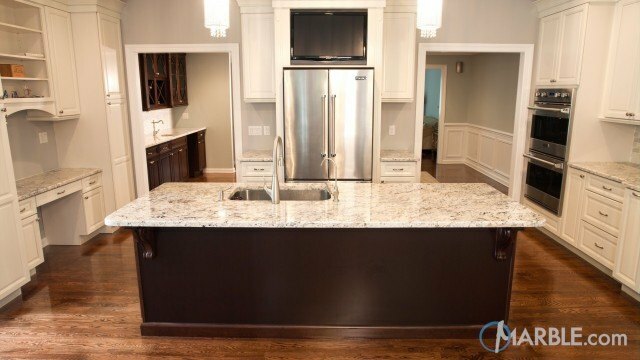 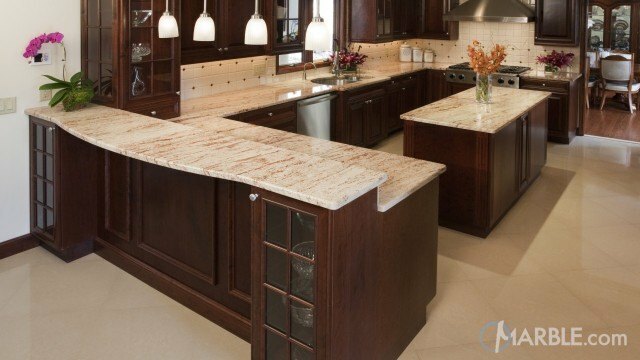 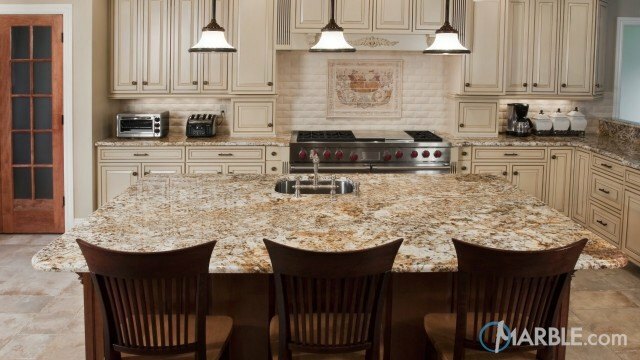 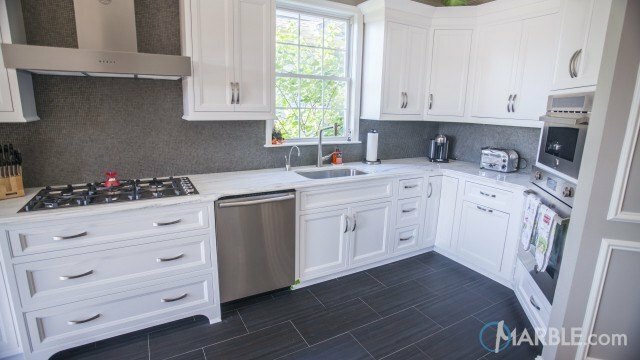 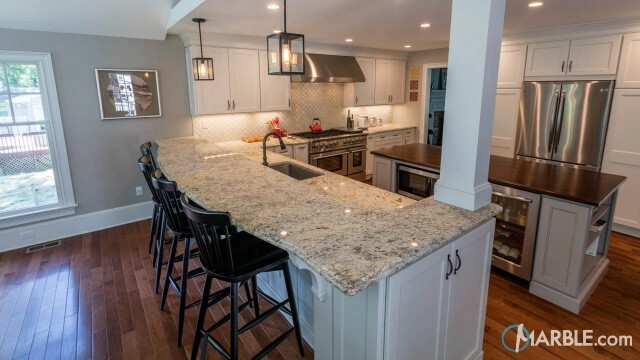 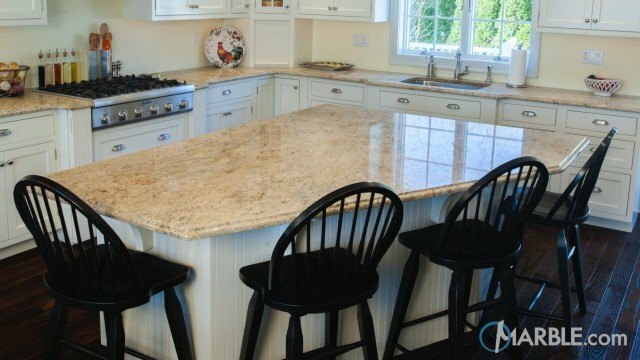 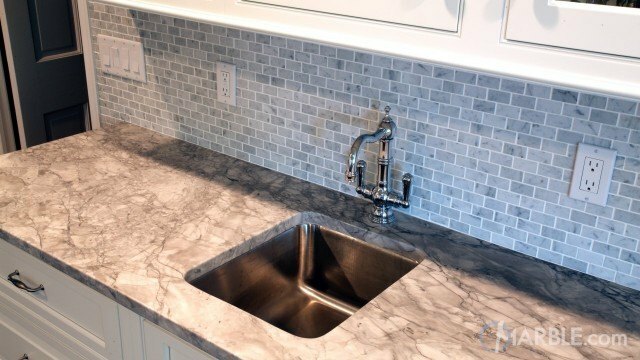 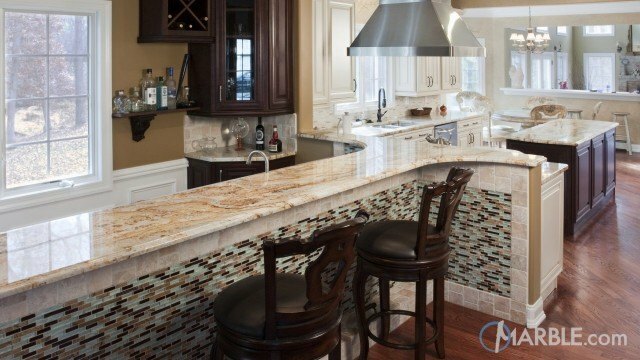 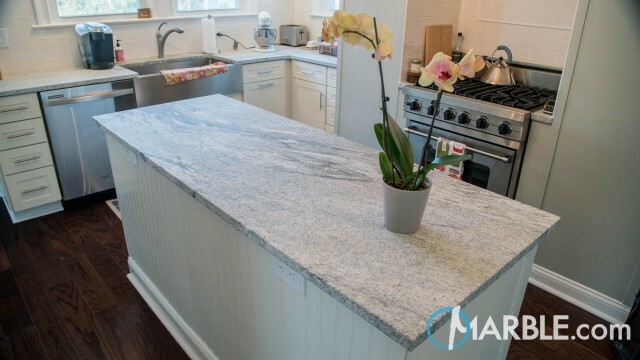 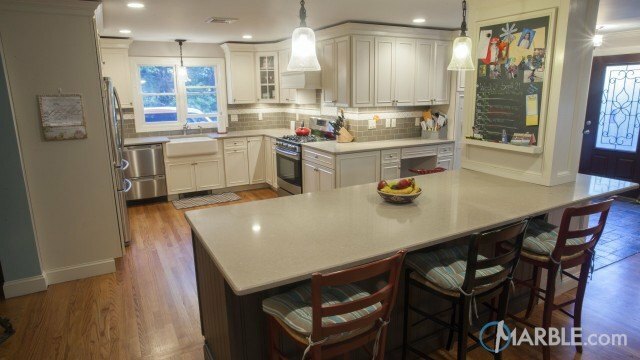 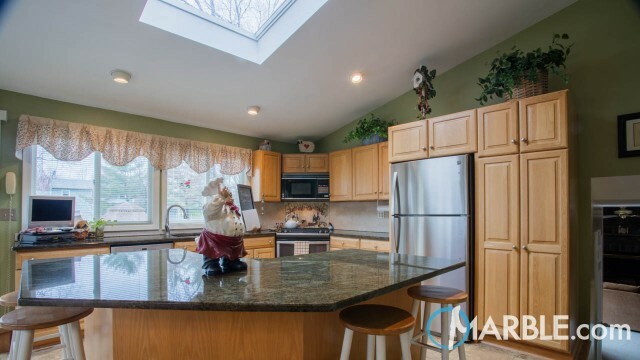 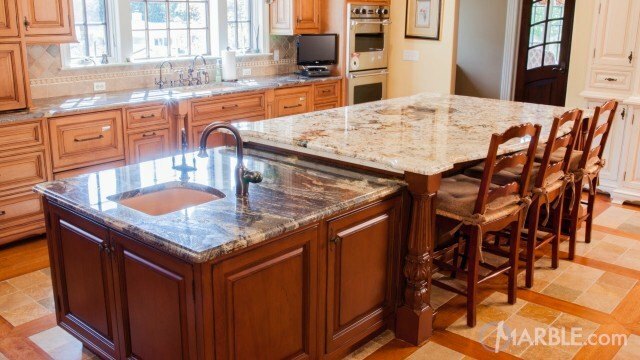 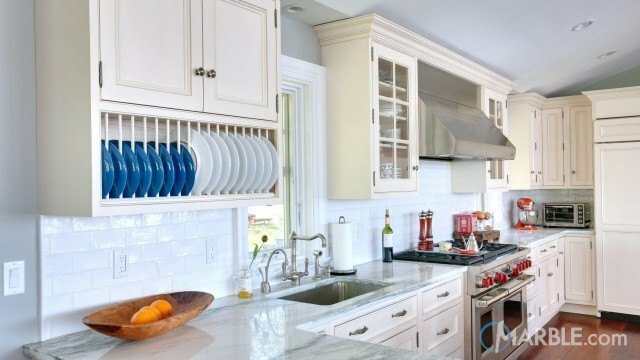 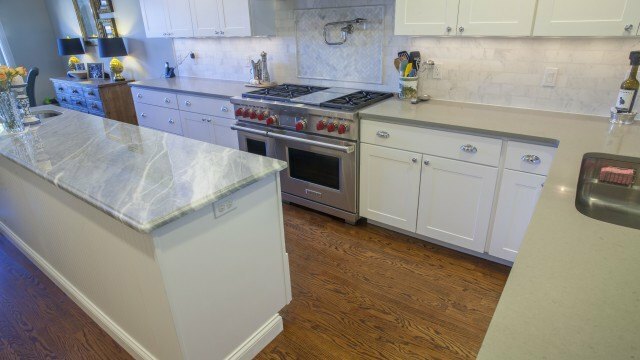 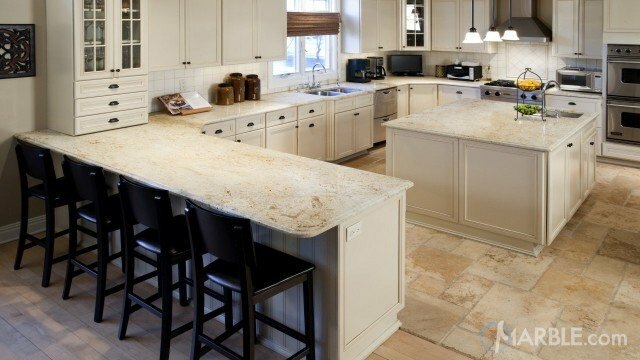 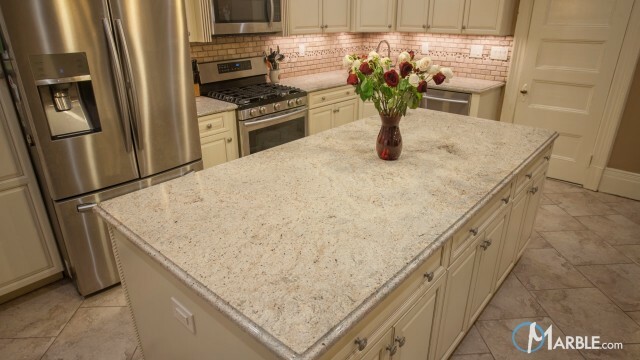 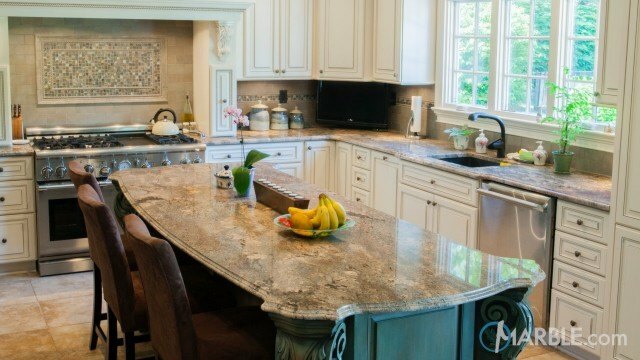 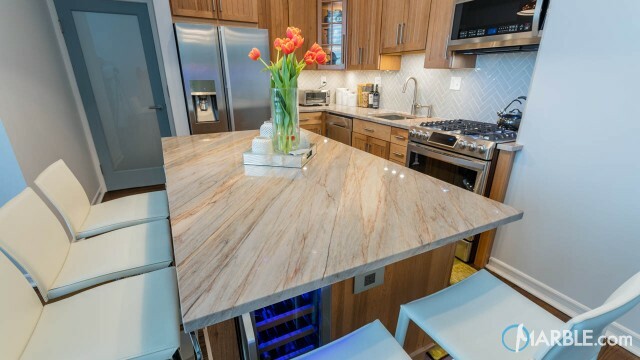 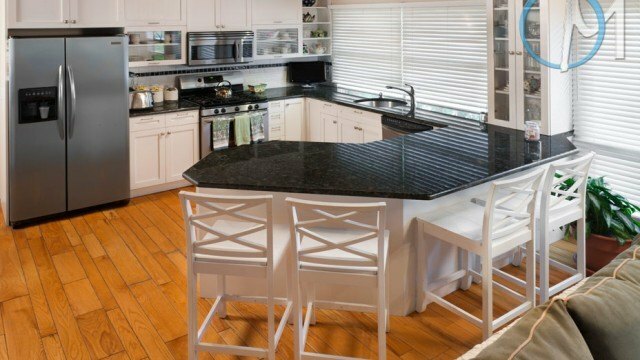 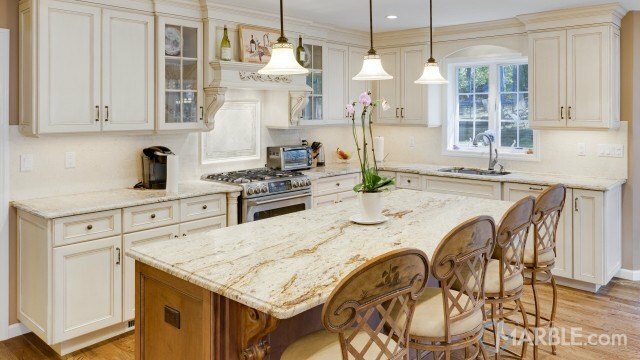 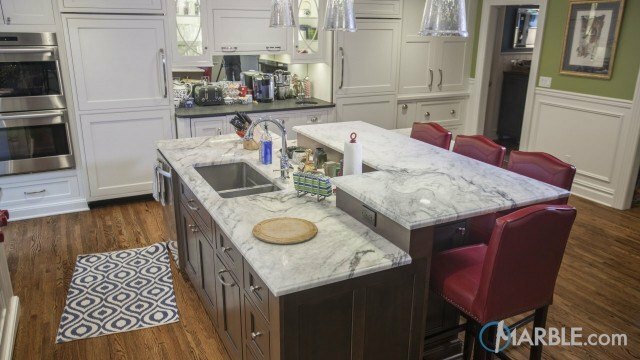 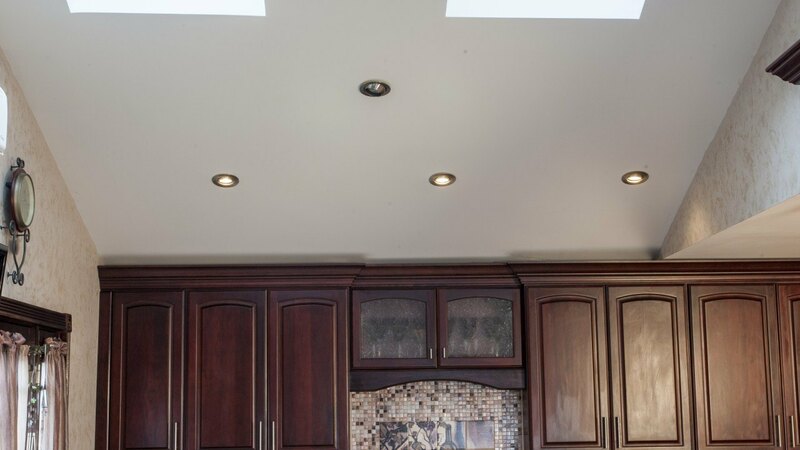 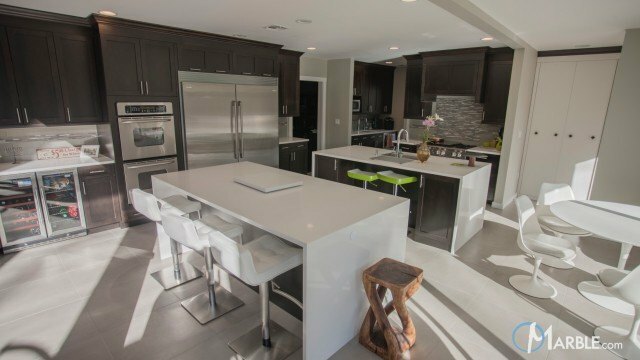 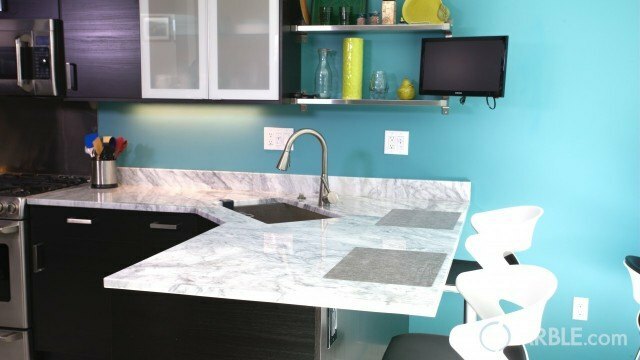 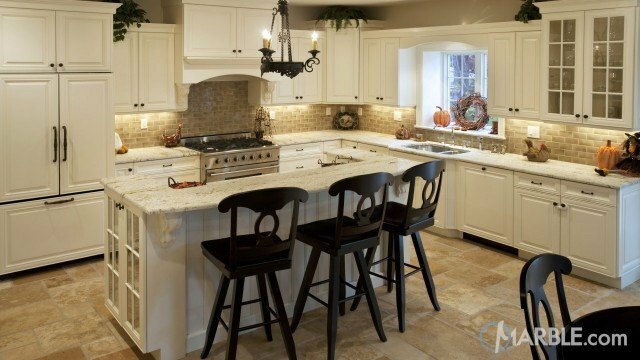 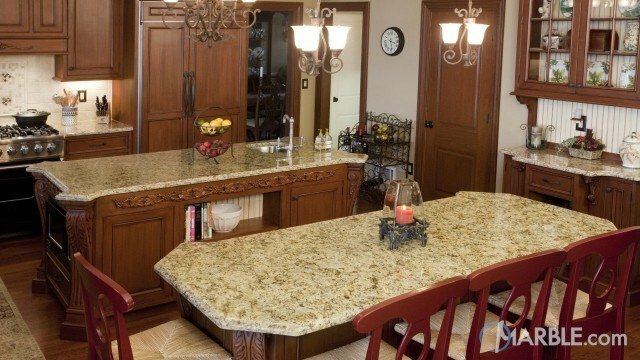 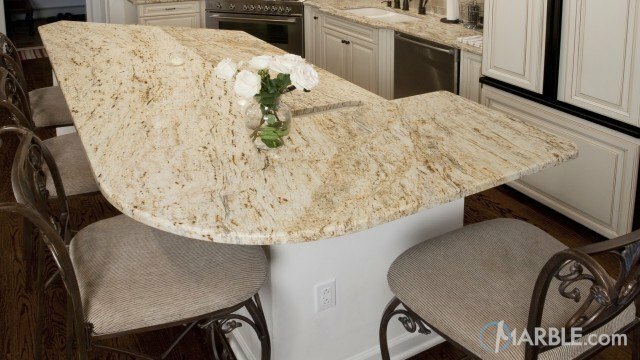 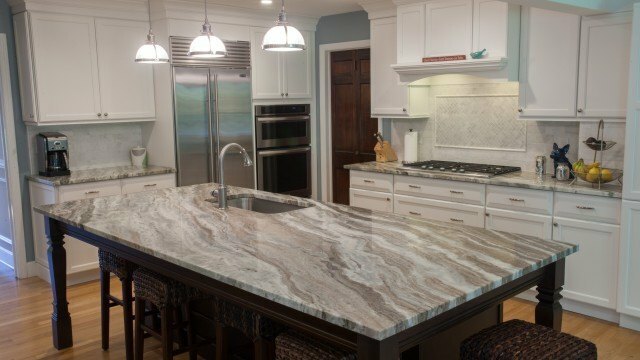 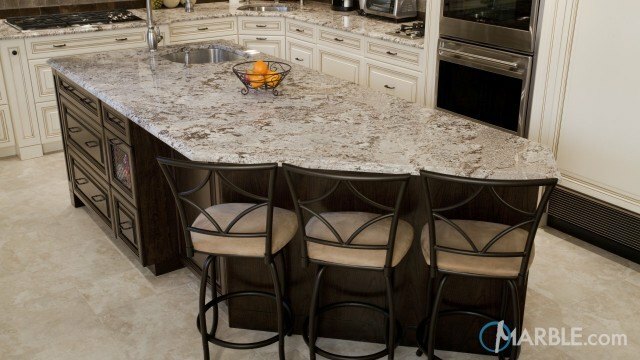 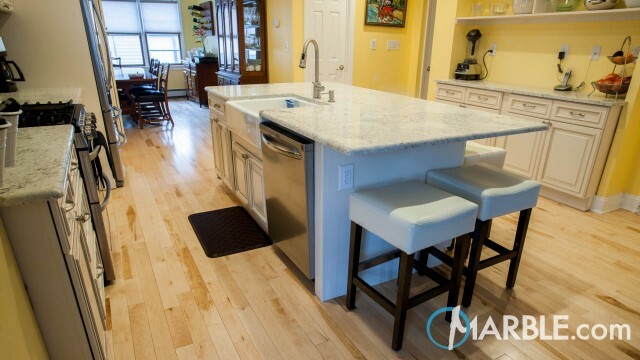 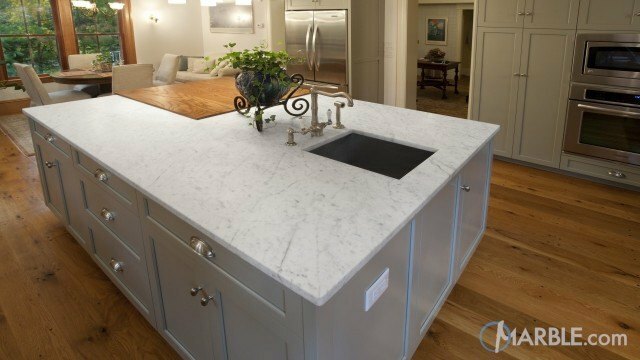 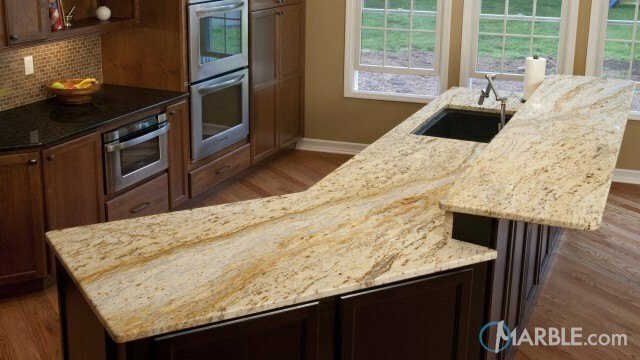 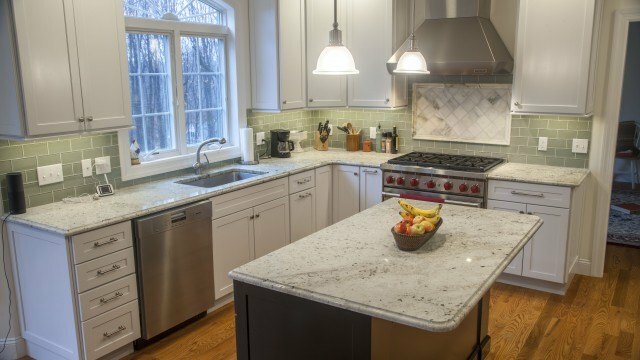 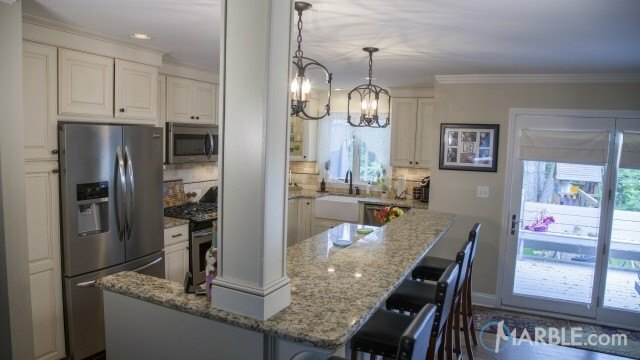 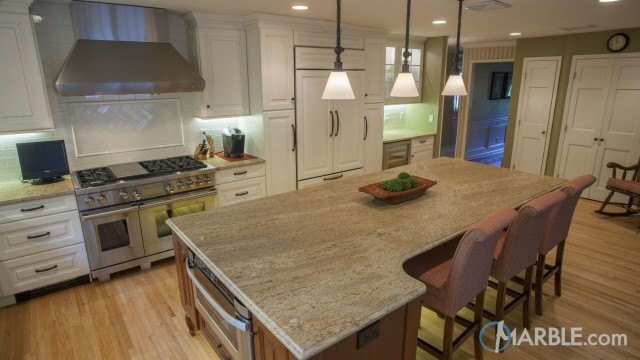 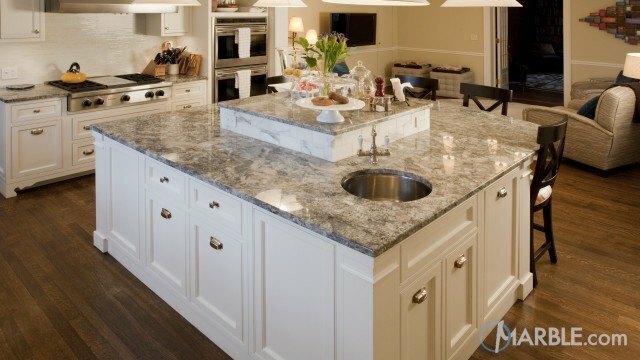 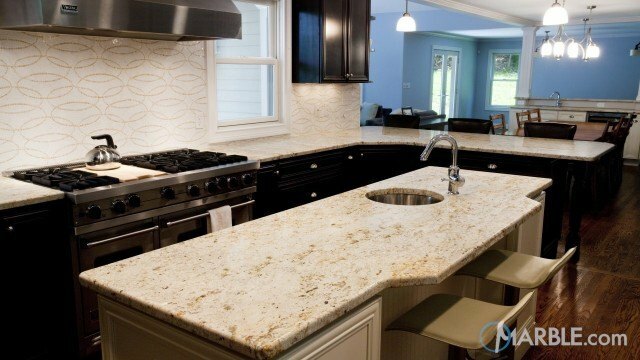 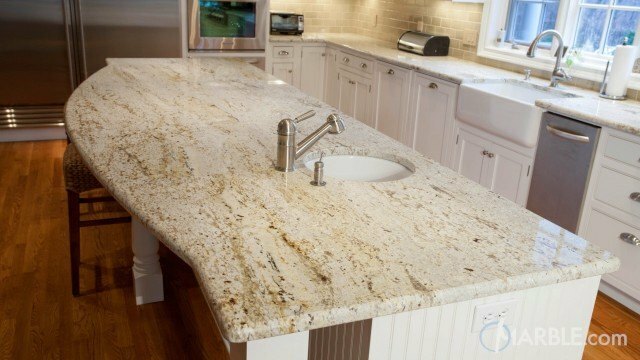 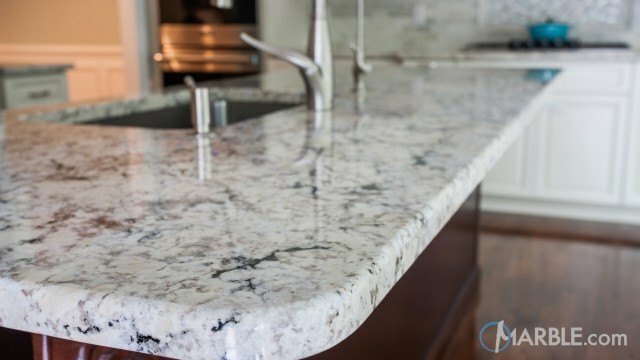 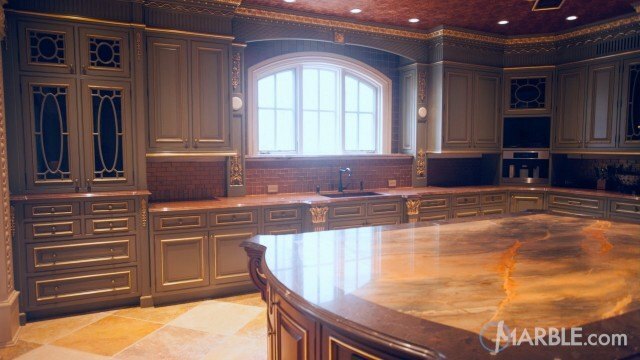 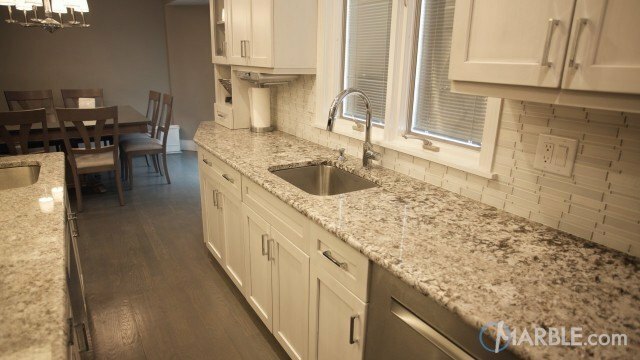 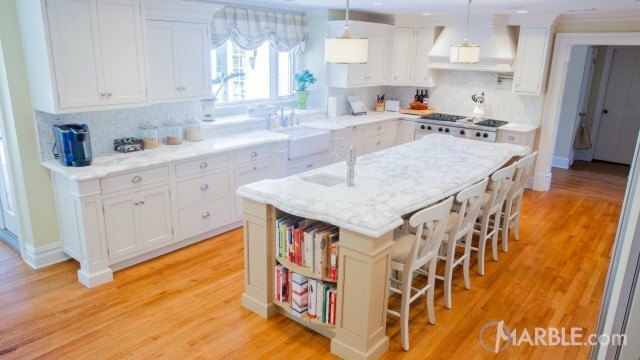 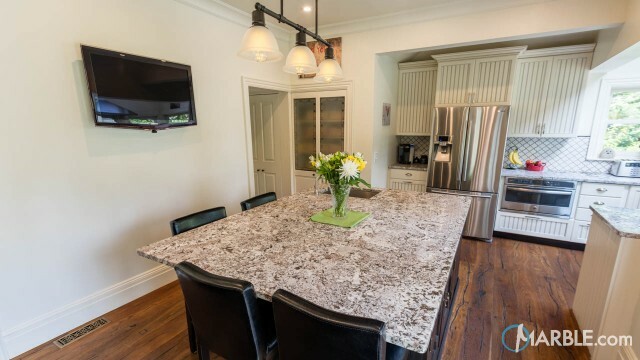 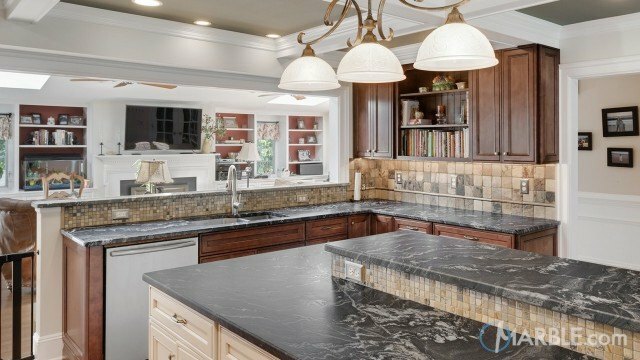 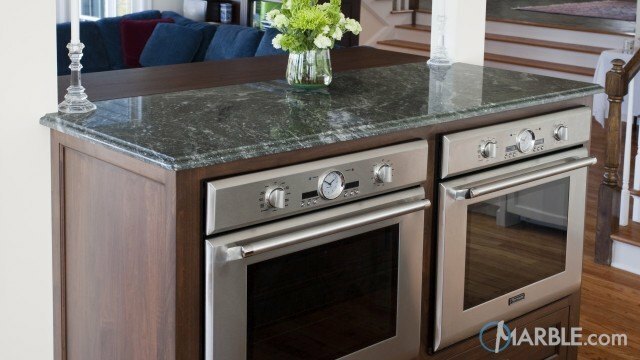 The rounded bump out of the kitchen island is a stunning feature that is emphasized with the Half Bullnose profile. 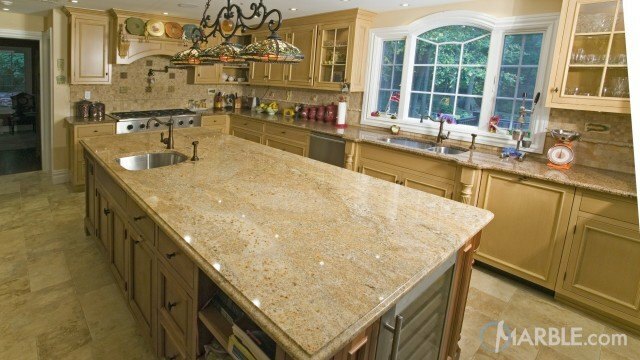 The light color Travertine floor tiles help to lighten up the space and also bring out the lighter hues in the Vyara Gold granite.